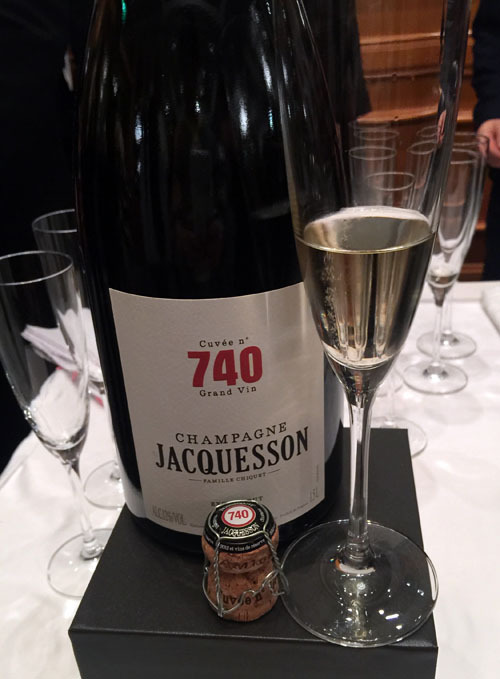 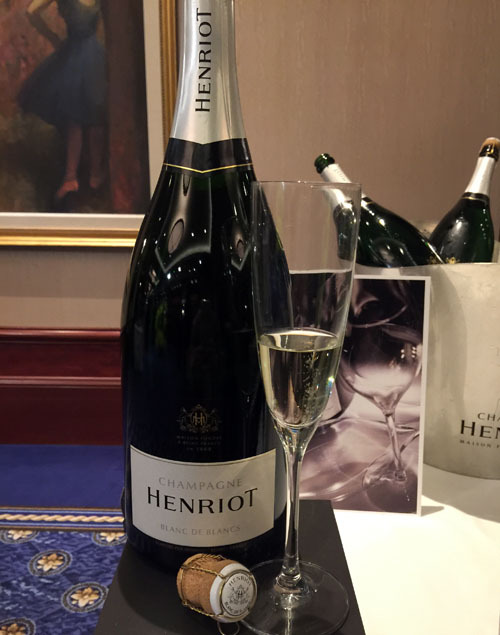 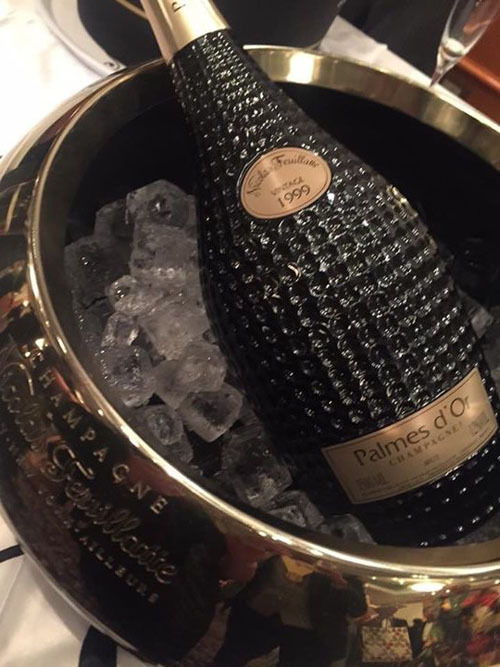 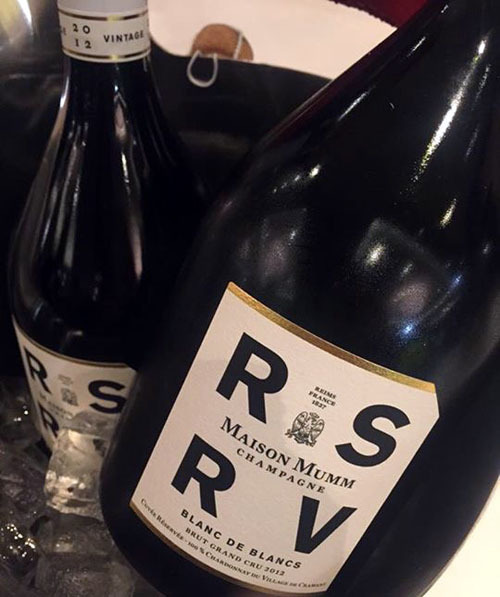 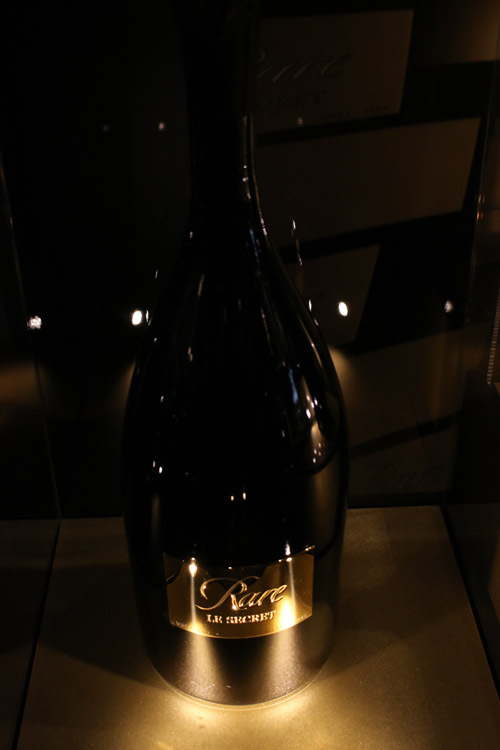 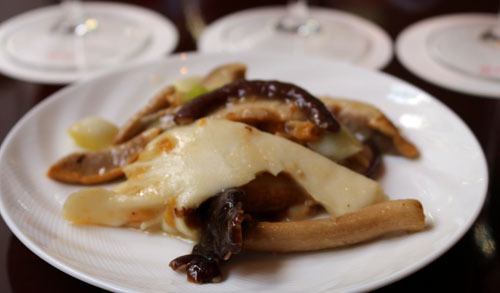 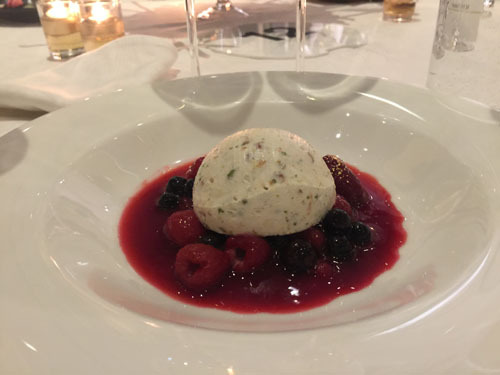 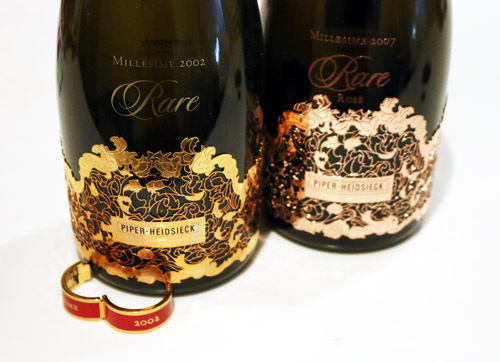 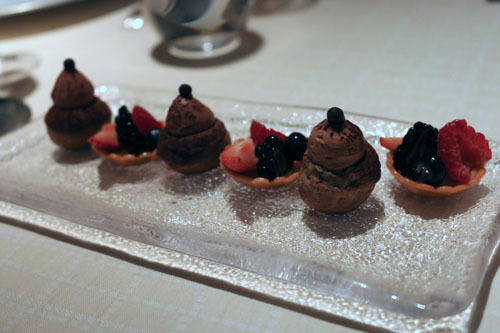 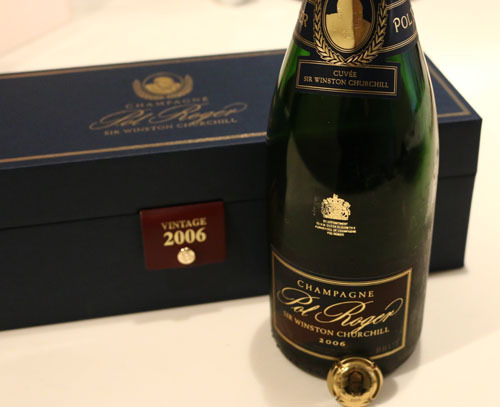 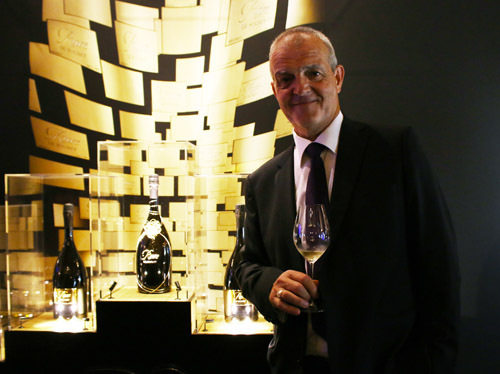 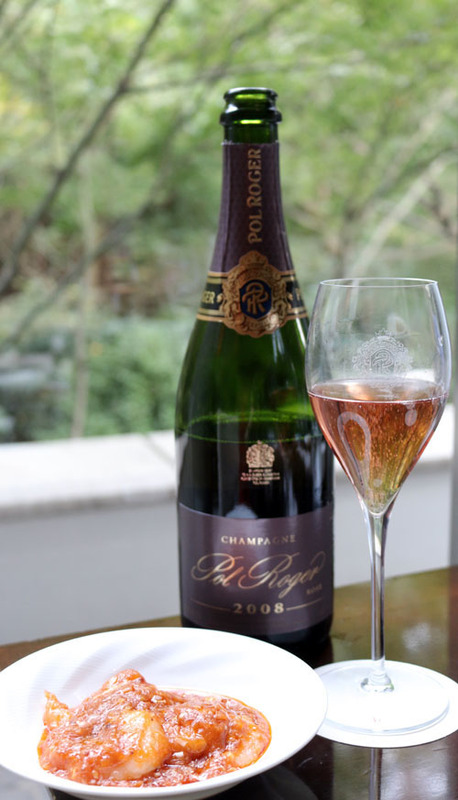 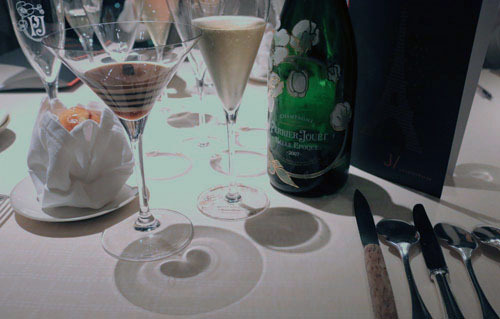 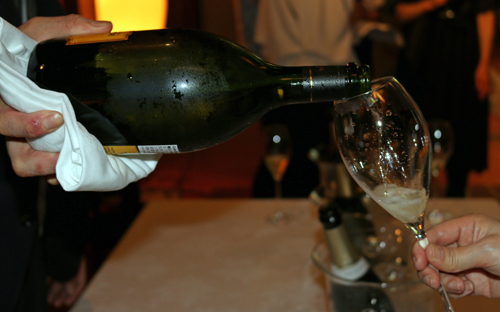 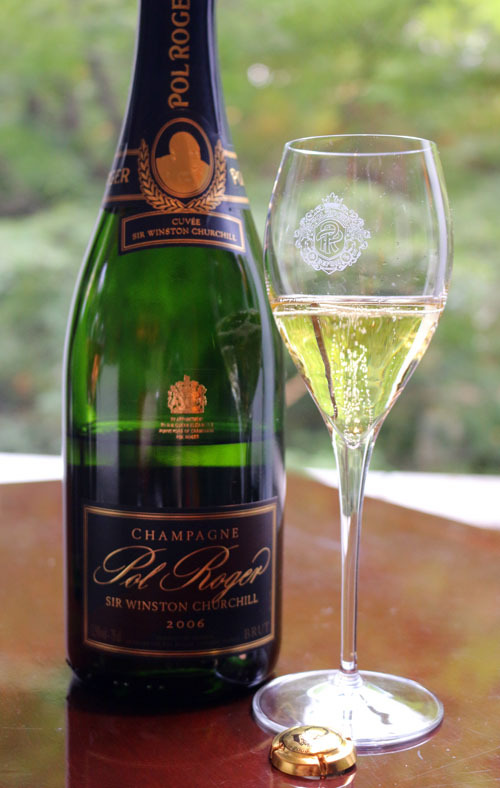 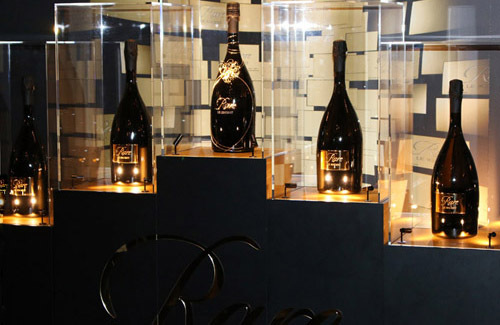 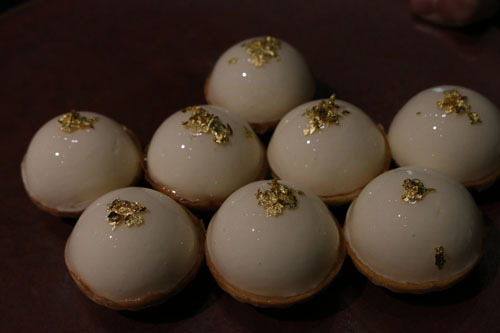 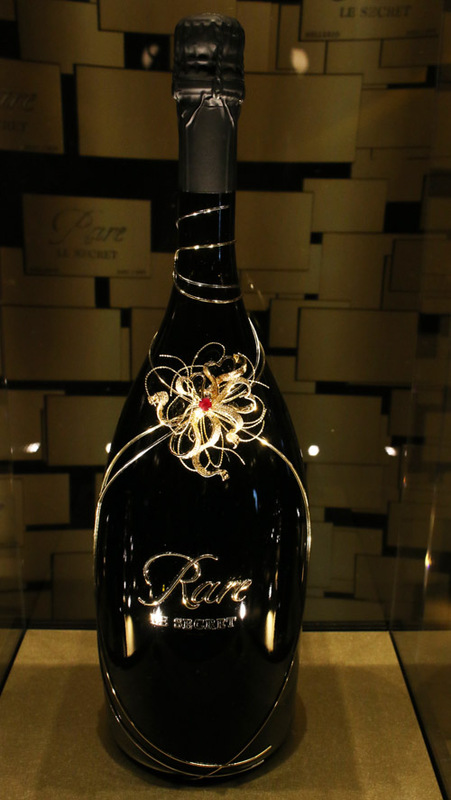 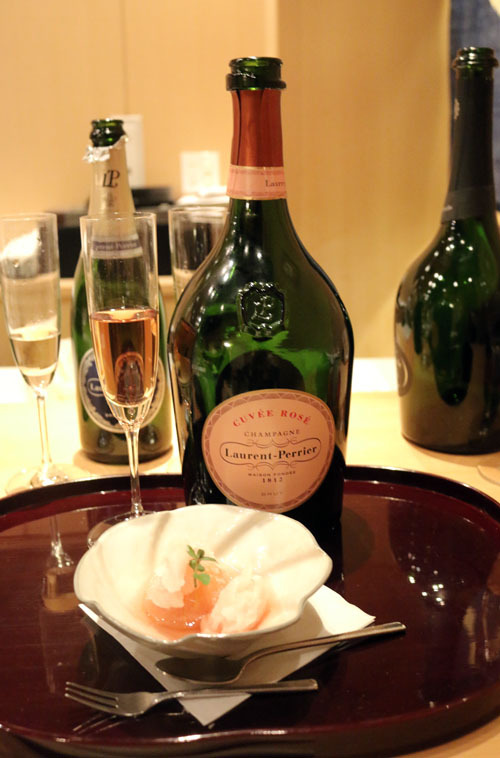 ※A magnum is the perfect size for two gentlemen over lunch, especially if one isn't drinking. 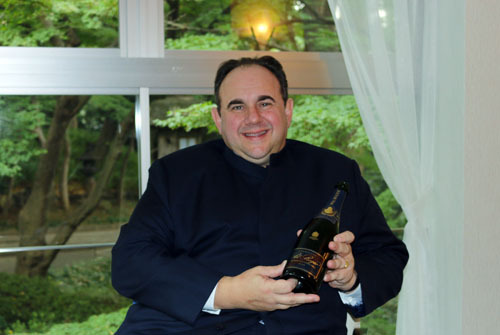 ペリエ ジュエ ベル エポック ブラン1999には黒糖のニュアンスも! 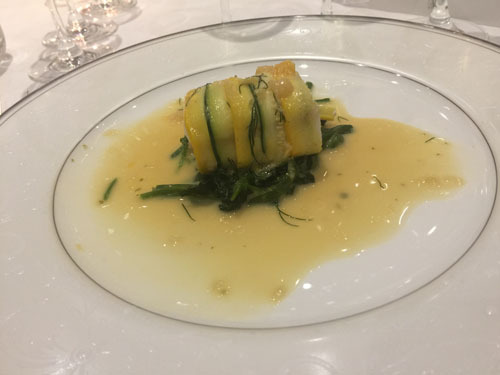 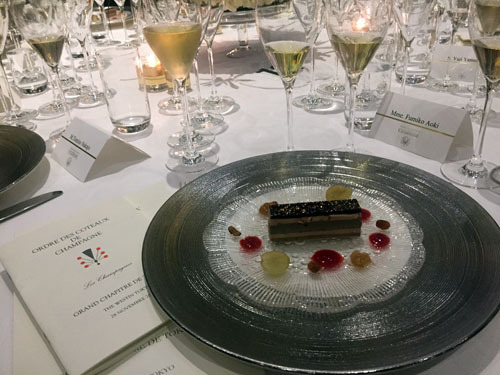 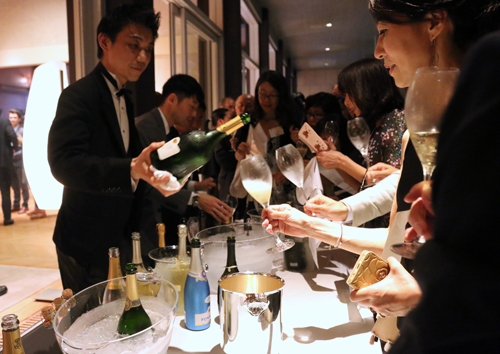 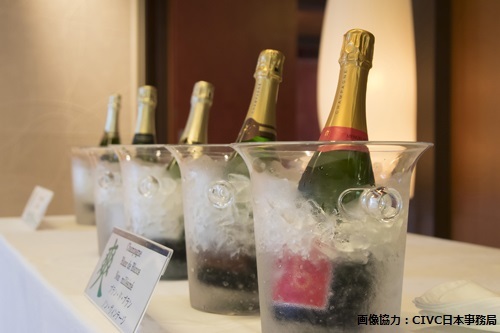 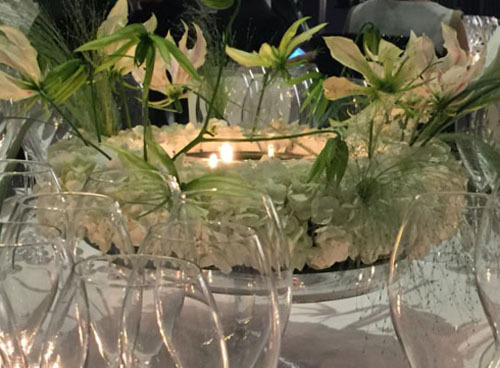 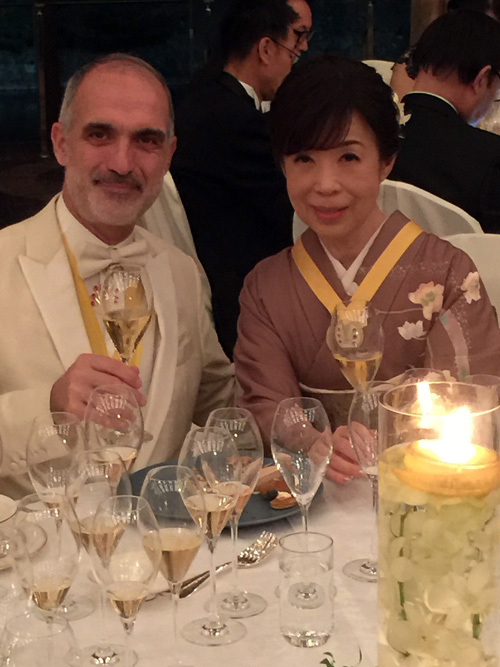 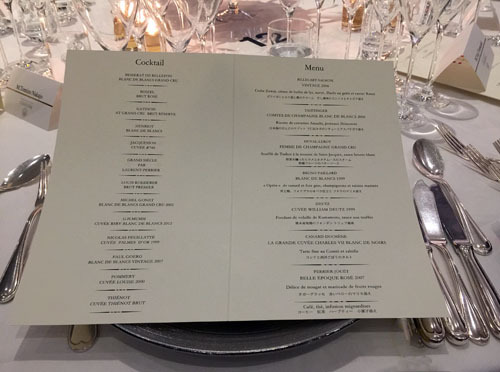 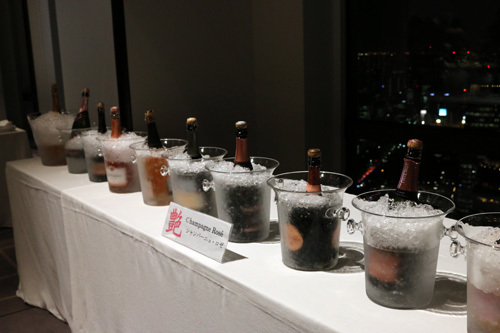 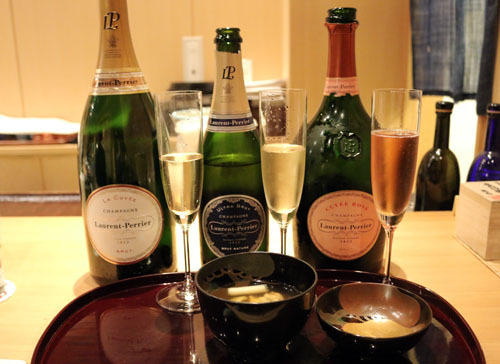 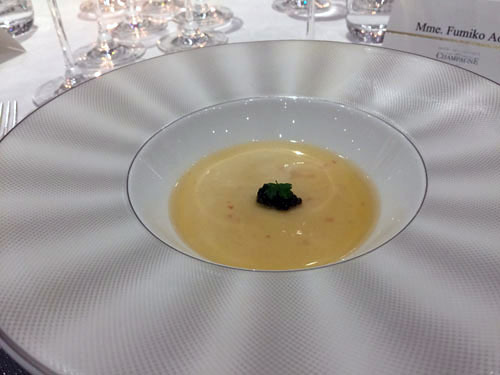 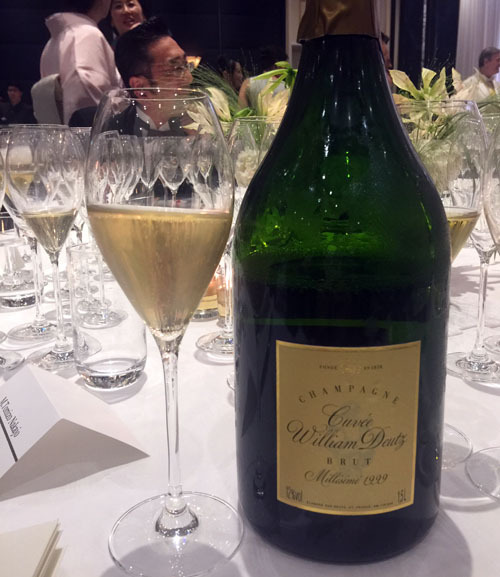 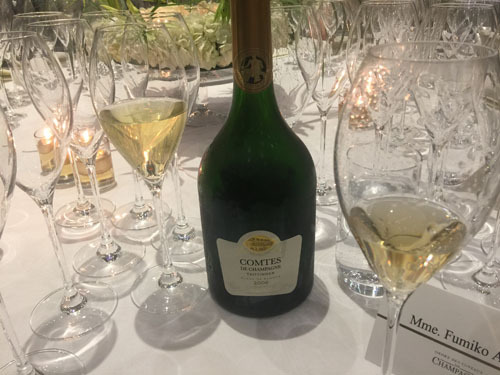 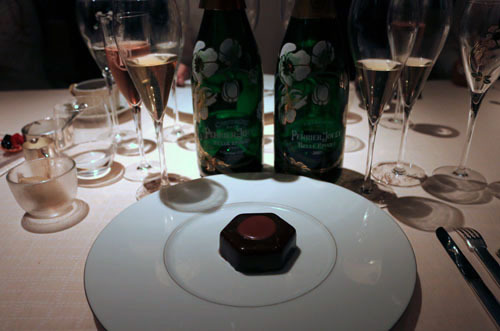 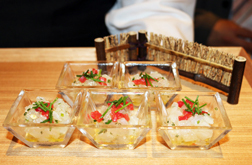 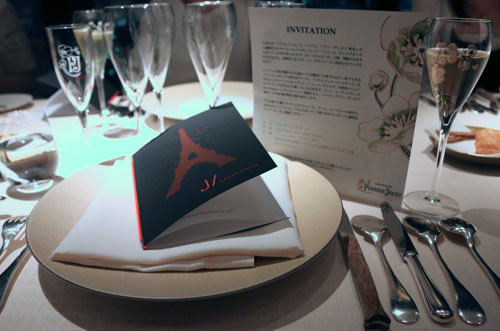 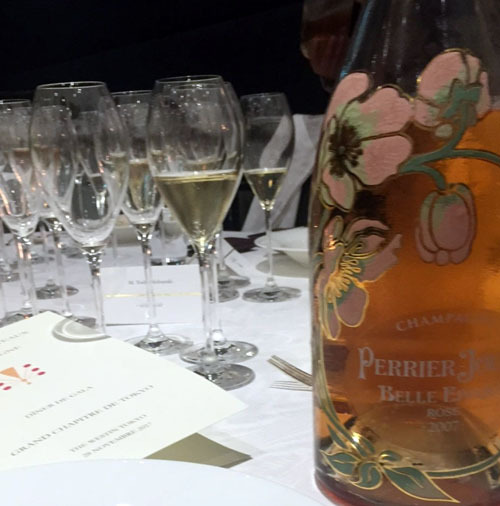 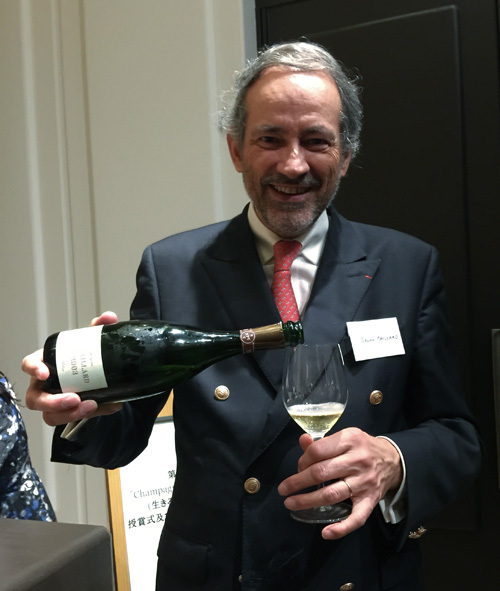 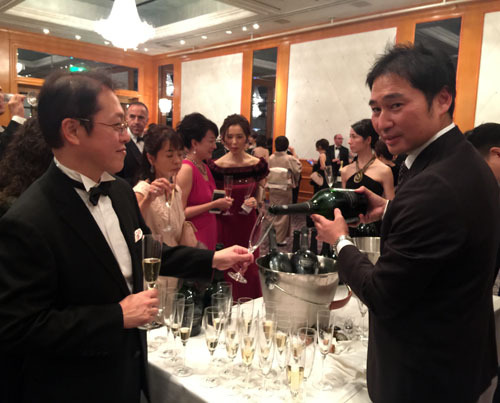 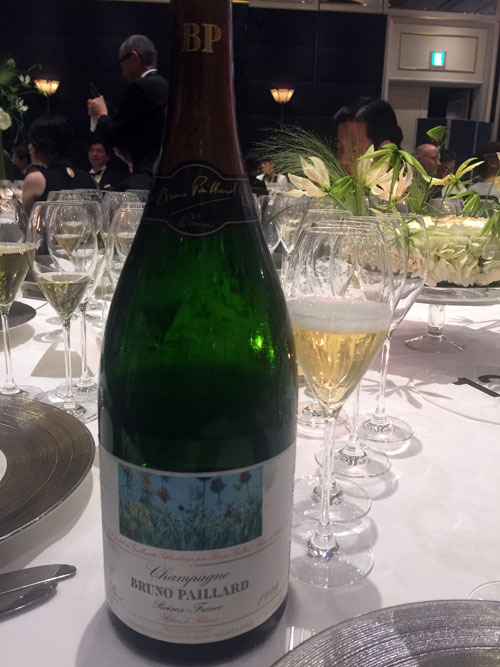 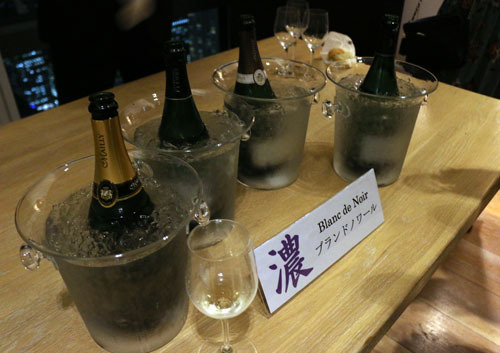 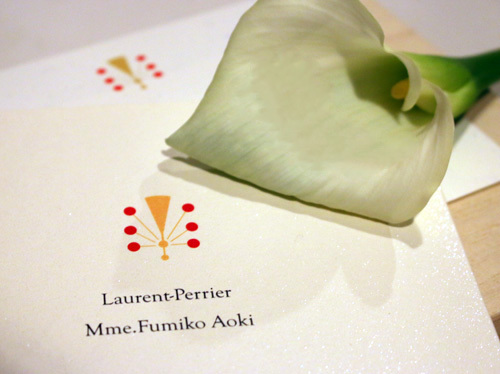 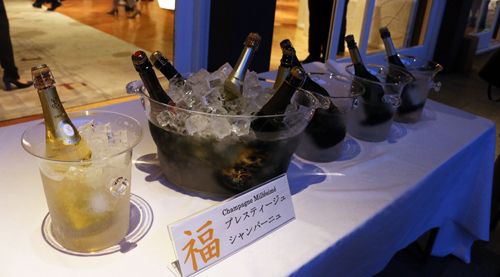 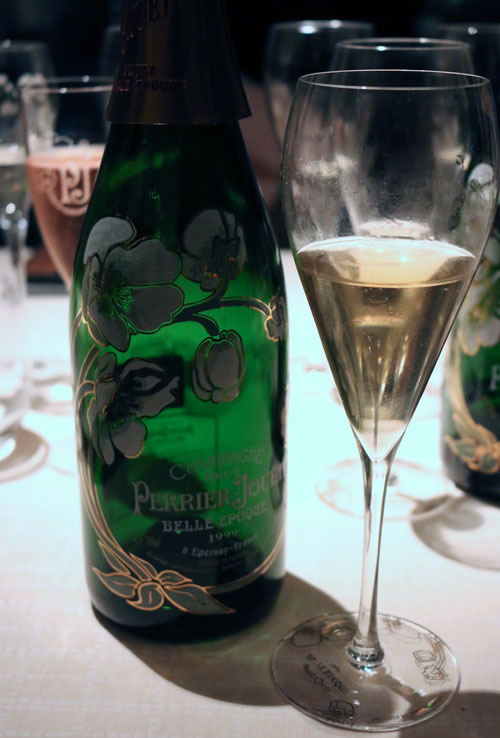 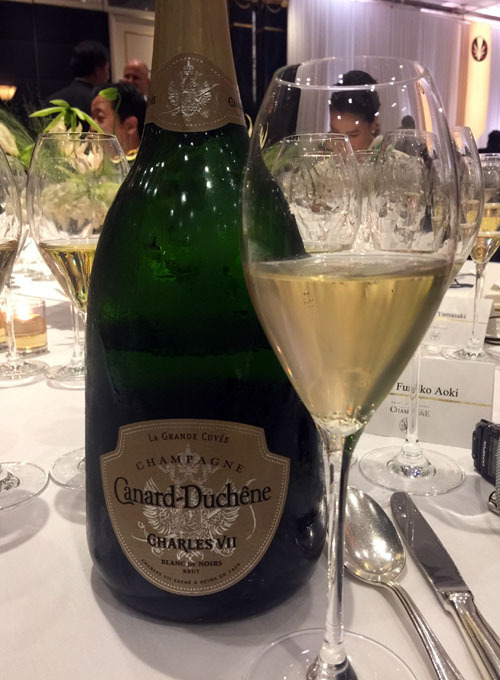 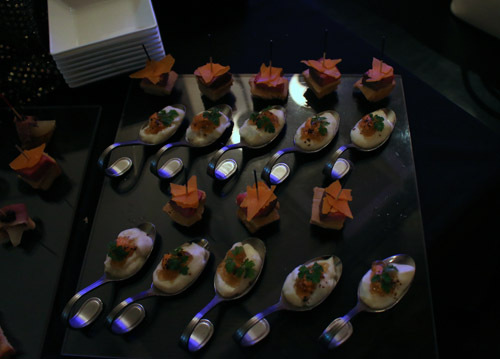 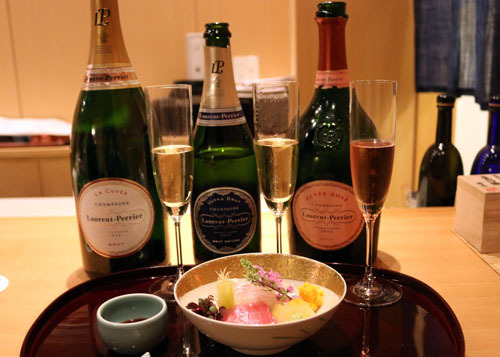 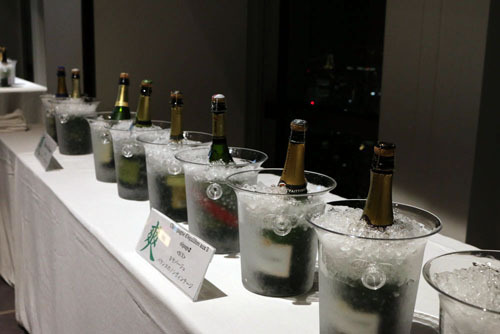 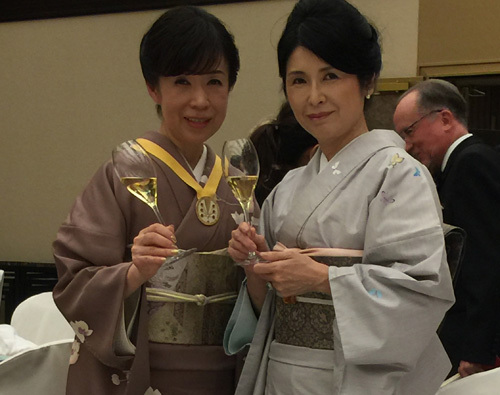 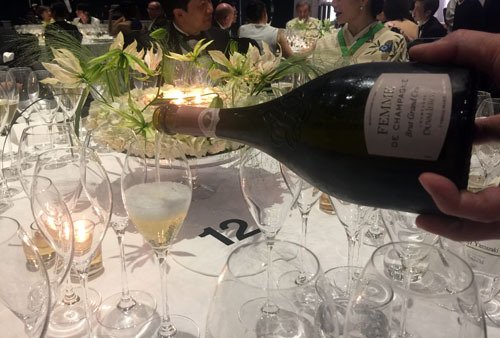 I organized an event to enjoy the marriage of Champagne Maison Laurent-Perrier (LP) founded in 1812 and Edo cuisine Ichinao founded in 1878. 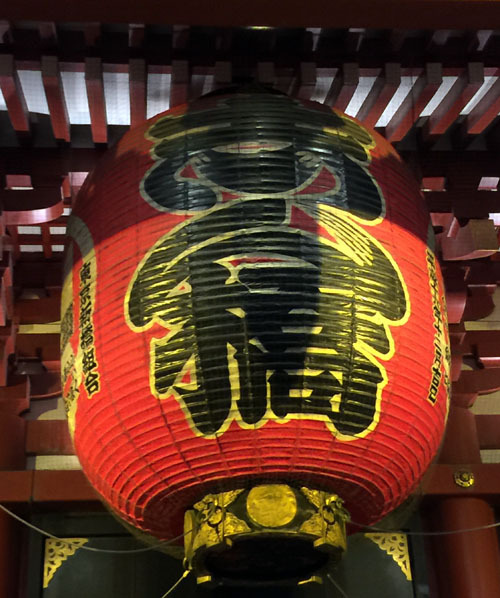 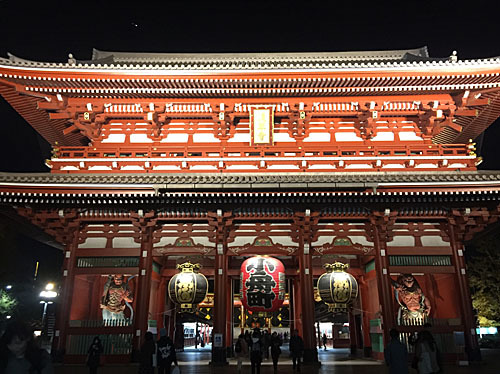 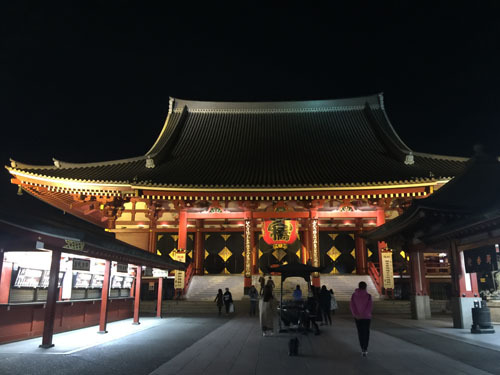 Asakusa is a place where the culture of Edo period still remains. 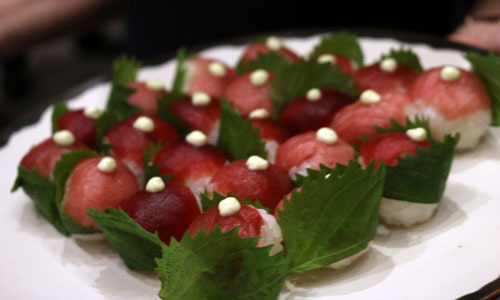 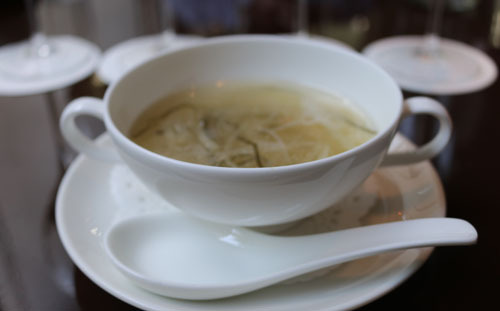 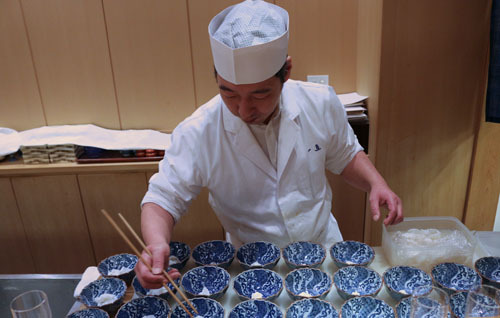 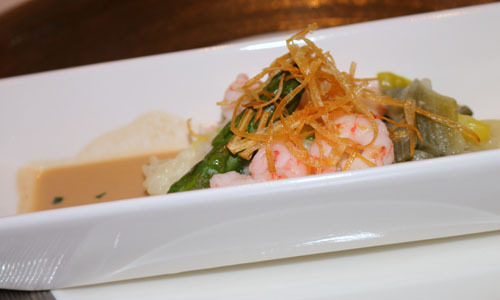 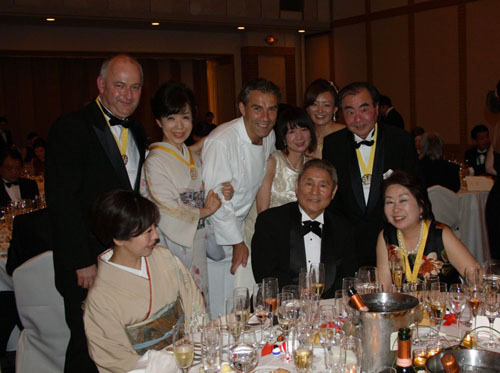 In the 1960s, the Master used to work at the Japan Embassy in Austria and he was in charge of Japanese cuisine. 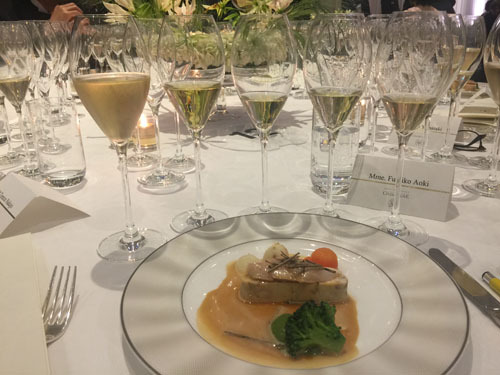 As an interesting anecdote of himself when he was there, he did shake hands with President Kennedy, because he had an opportunity to see President Kennedy and Prime Minister Khrushchev, both visited Vienna for the Vienna meeting (1961). 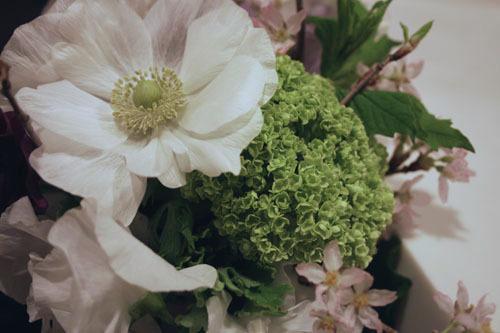 Unfortunately, afetr two years later, Kennedy passed away in Dallas. 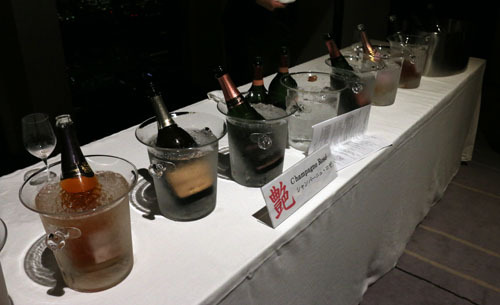 Young master knows a lot about wine. 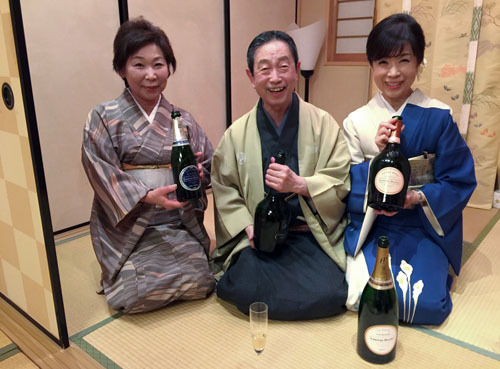 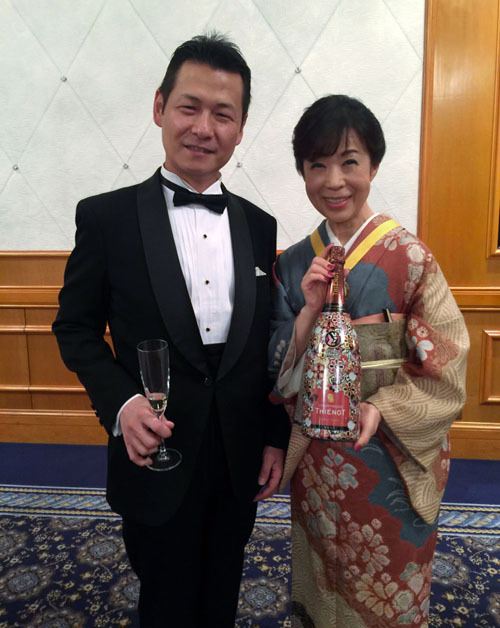 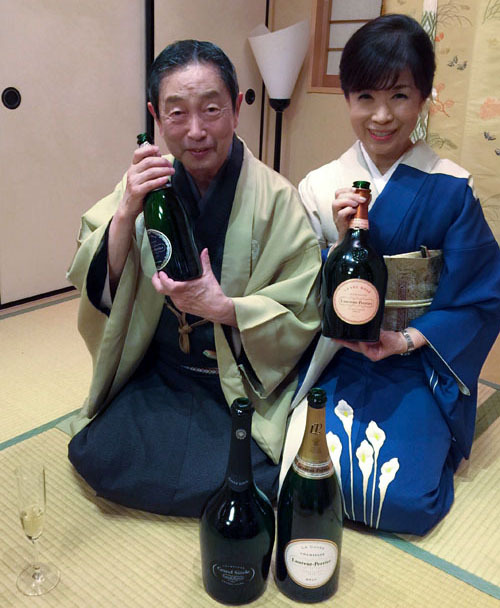 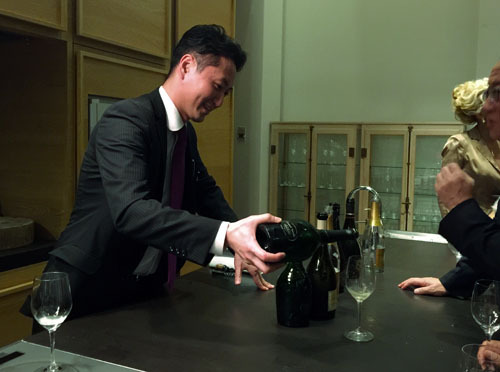 Haruo Kenmotsu master sommelier teaches how to open champagne to young female master. 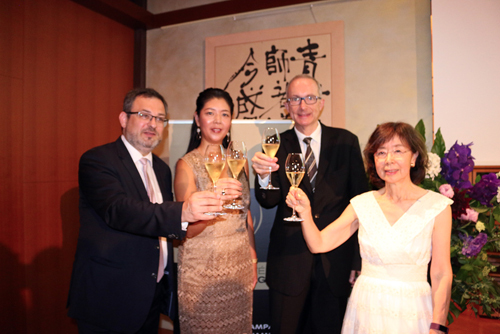 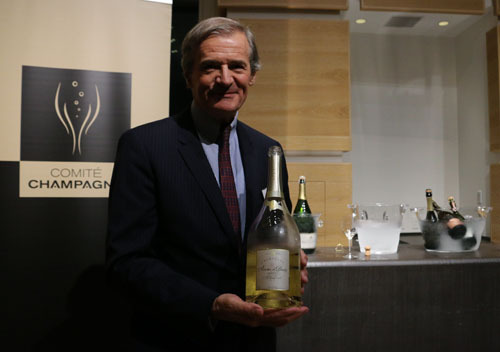 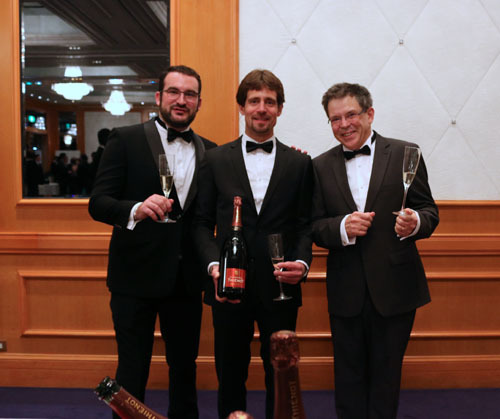 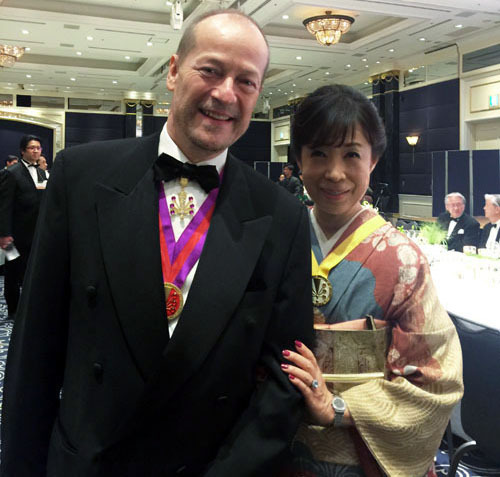 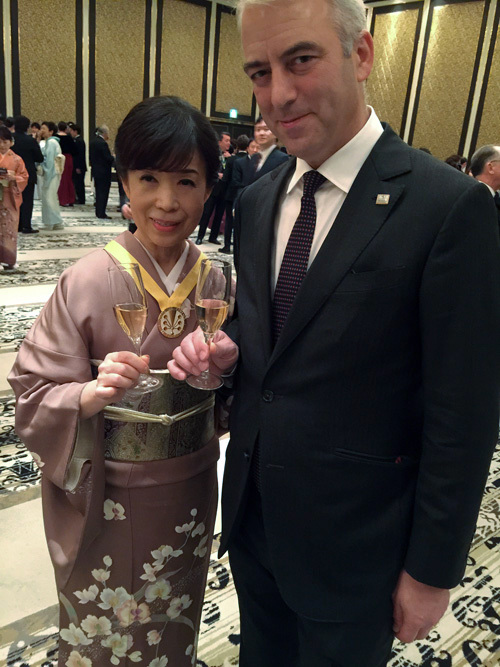 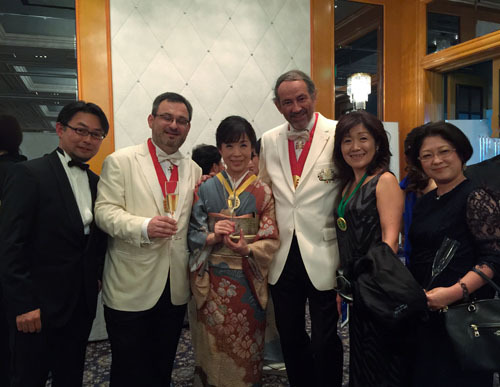 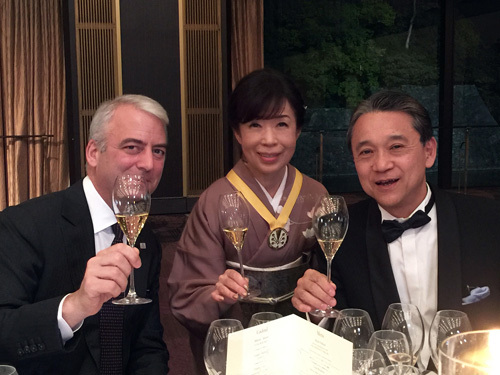 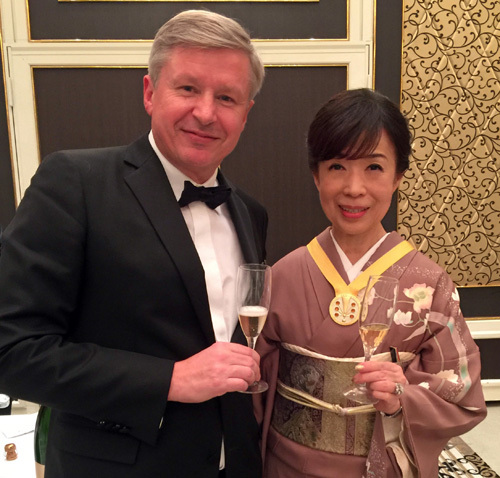 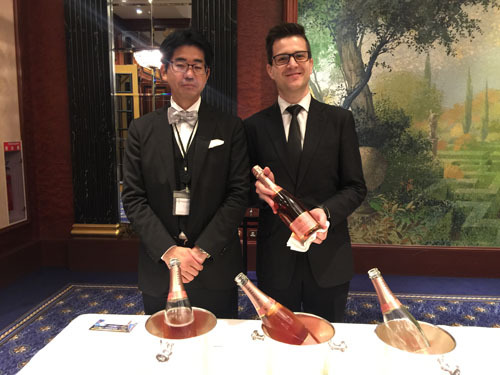 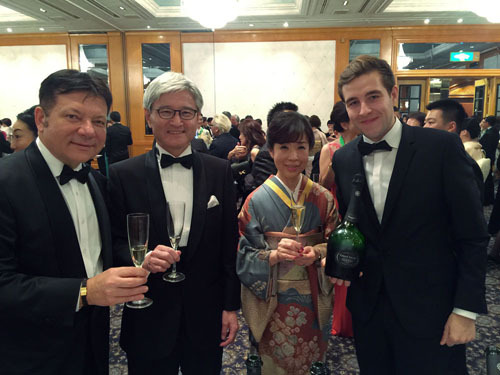 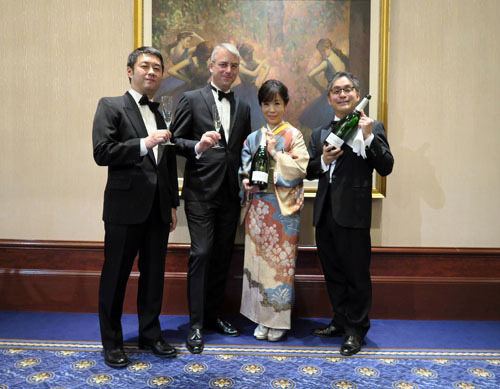 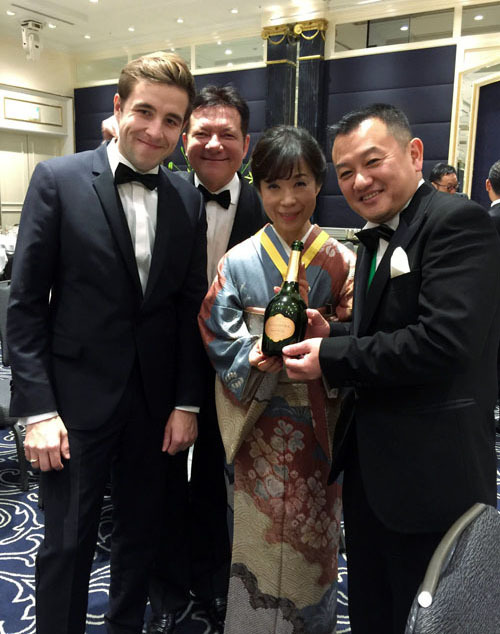 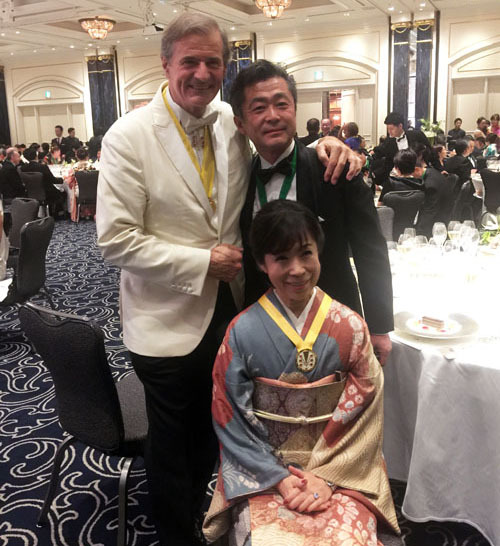 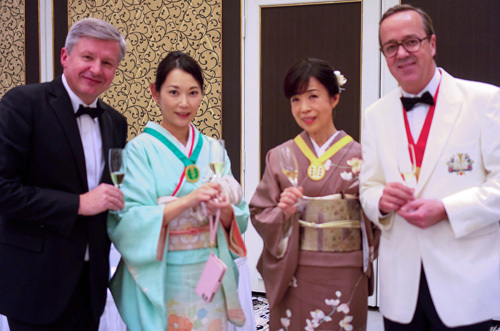 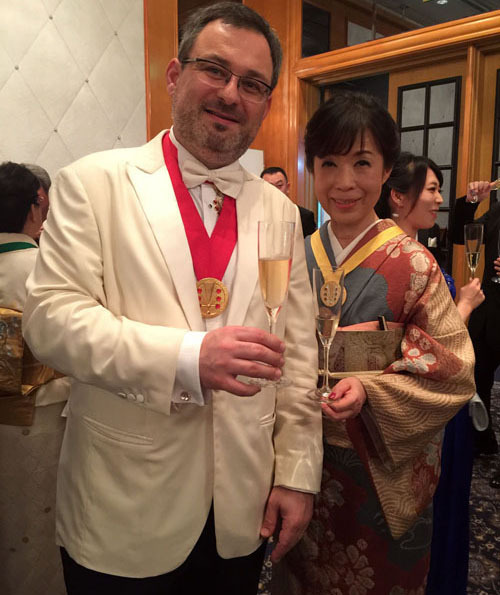 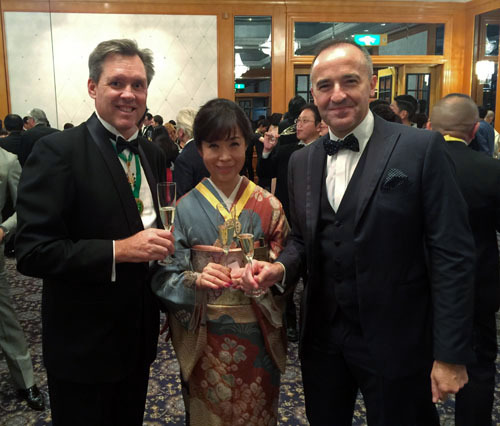 Kenmotsu master sommelier who is authority of wine industry and Philippe Sauzedde of Laurent-Perrier Ambassador. 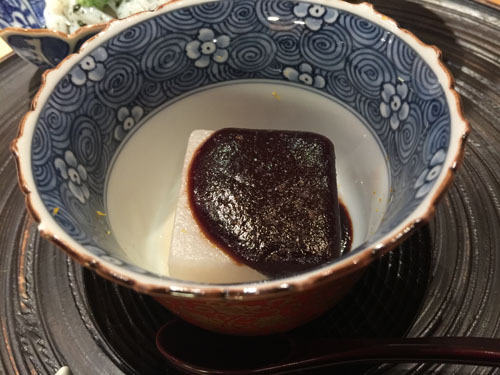 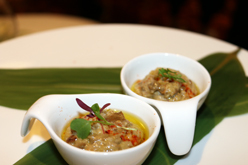 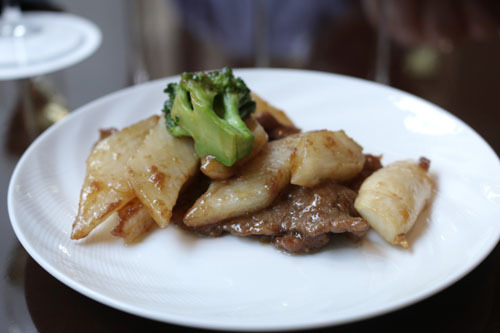 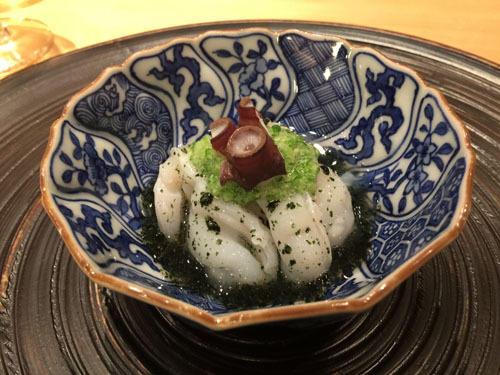 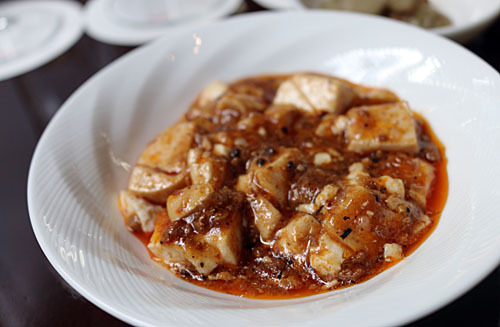 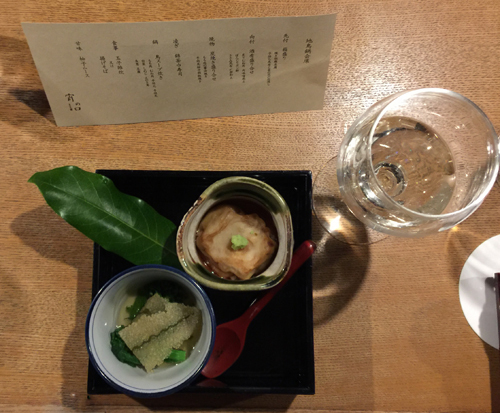 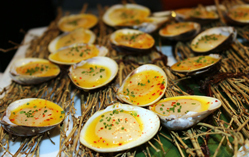 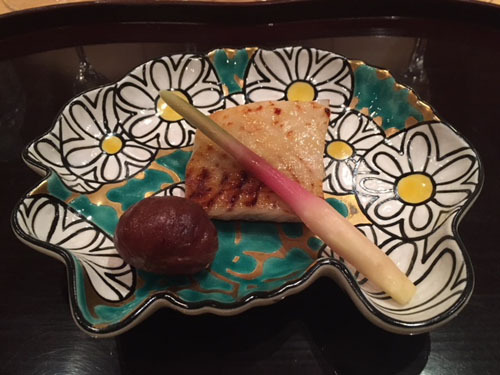 Maru means Soft-shelled turtle (suppon スッポン). 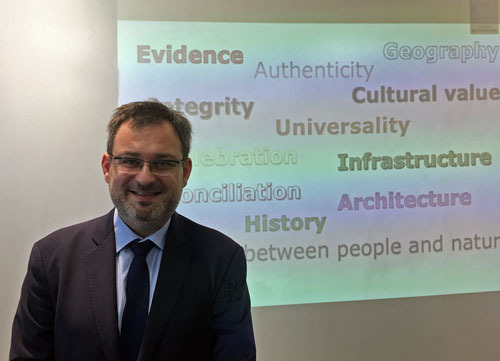 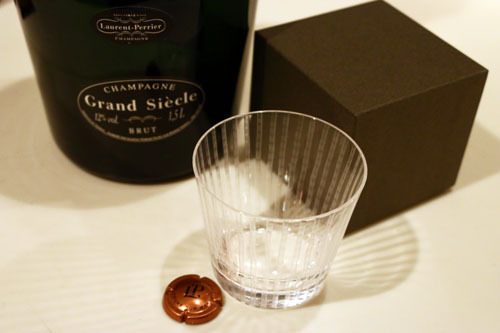 Explanation about Grand Siècle with Philippe san. 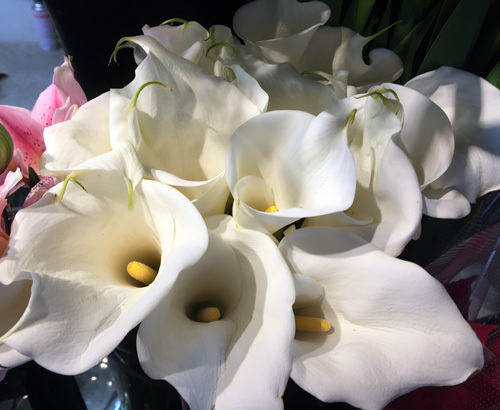 I coordinated in image "Calla lily" of the maison. 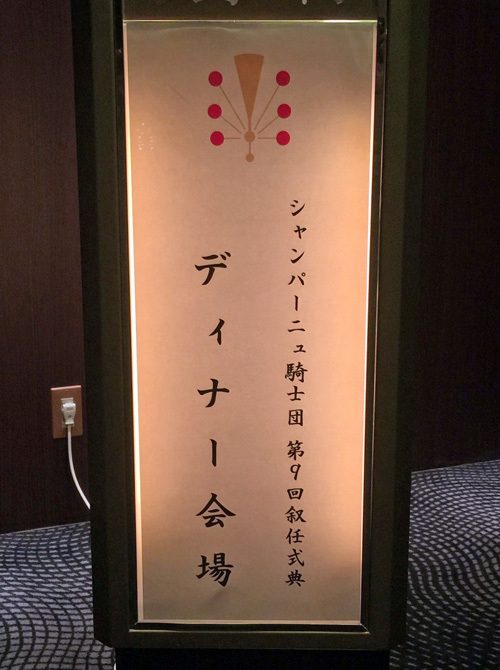 The special guest of the event was Yugentei Tamahachi, the master of Houkan. 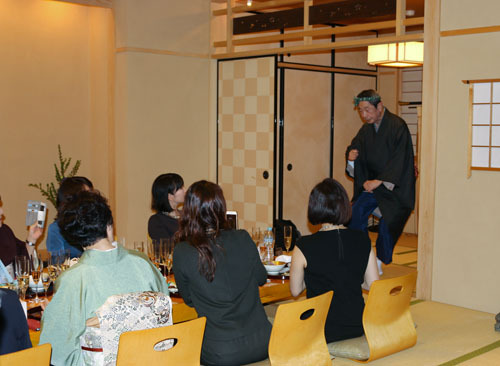 "Houkan" , the old Japanese, which means to warm up the drinking party and this is the reason he is called so, as he is a male geisha who learned Japanese traditional arts and helps to bring additional excitement at the banquet scene. 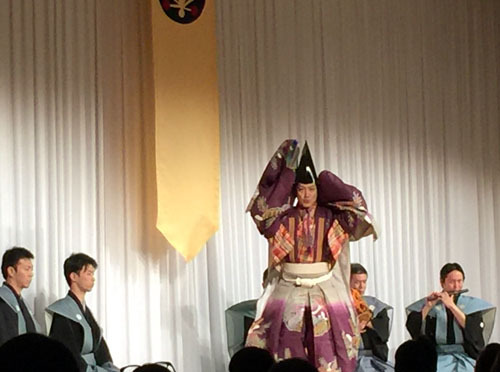 Speaking of geisha, it's more likely a role of female now, but a male geisha was mainstream until the late of the Edo period. 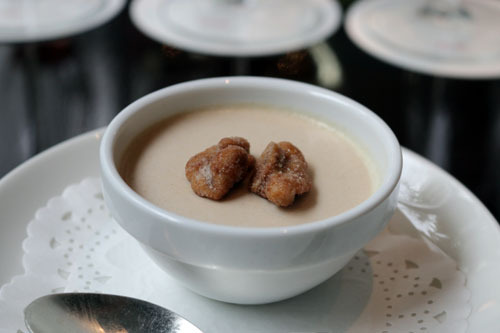 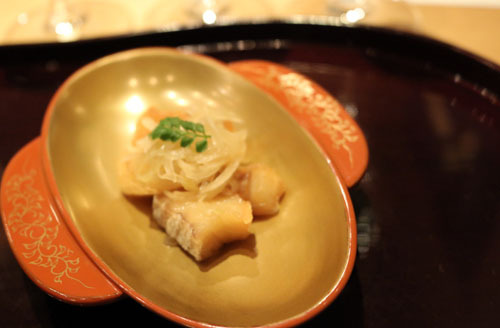 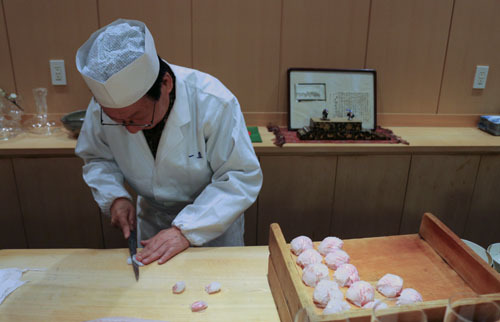 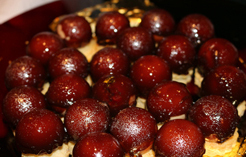 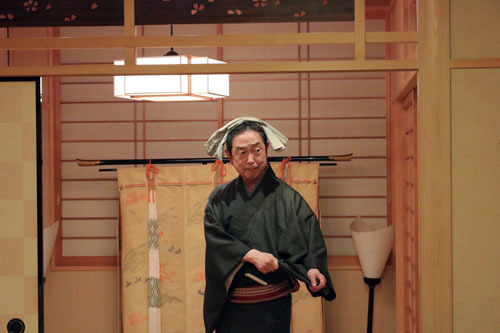 Tamahachi master is one of the few Houkan in Japan. 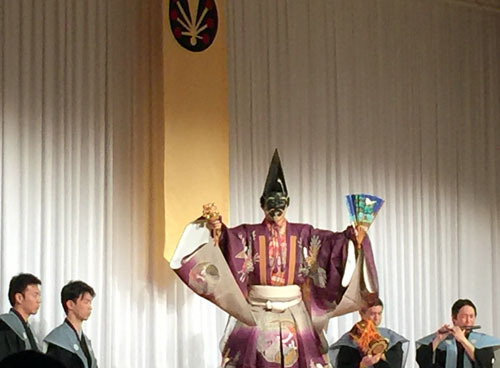 Vocal cord copying of Kabuki actors and Politicians, great! 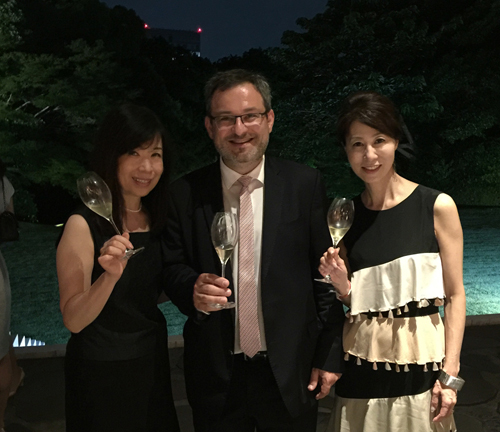 With Naoko Otake san who went with the management of this event! 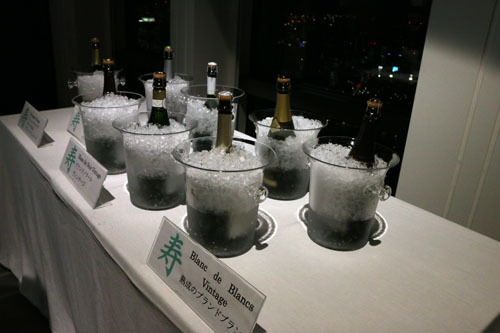 It was a splendid condition! 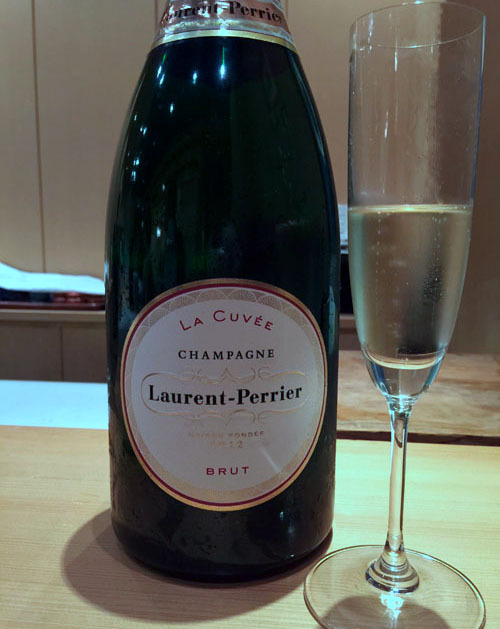 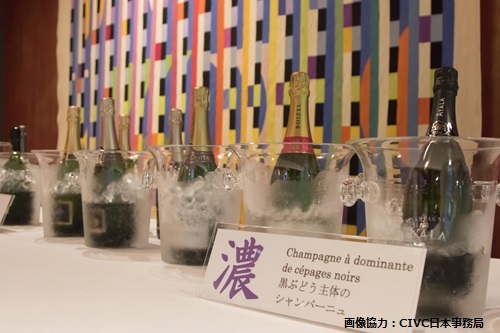 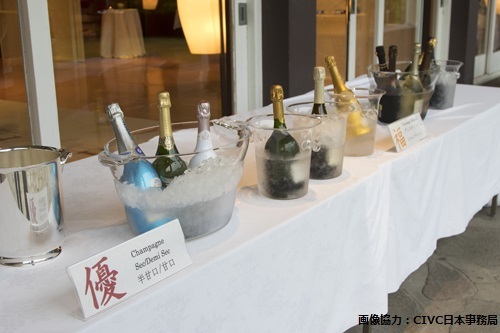 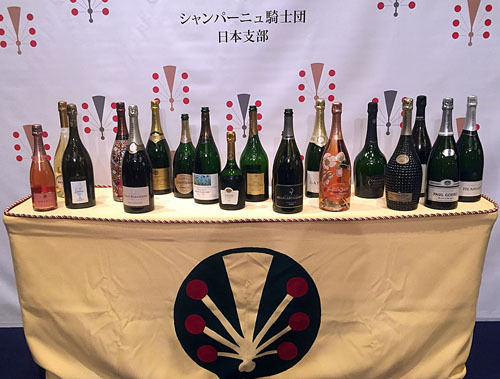 Though Tamahachi master has participated in the movie "Zatoichi" by director Takeshi Kitano (Beat Takeshi), there is a strong connection with Laurent-Perrier and Takeshi san. 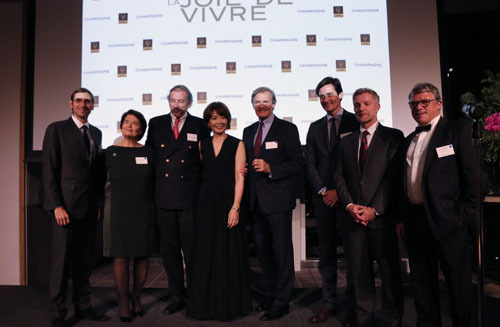 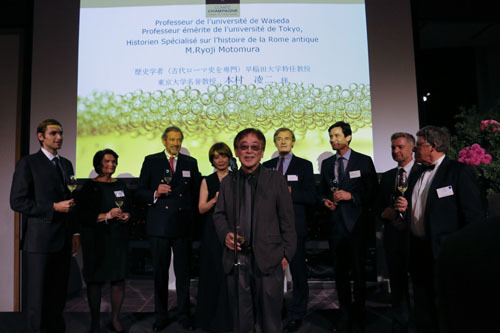 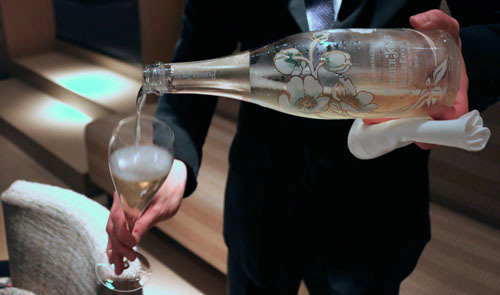 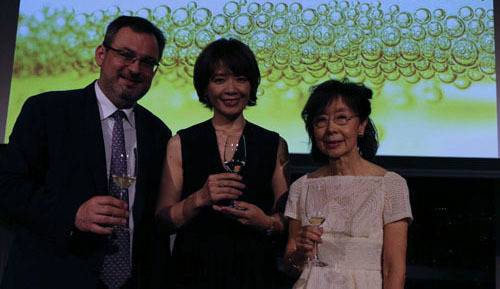 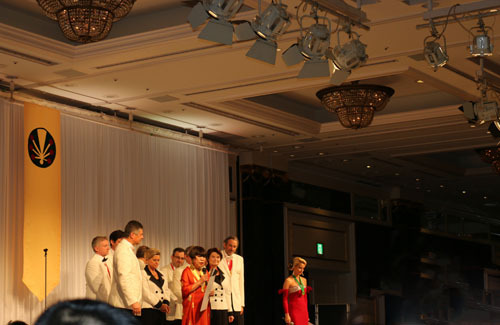 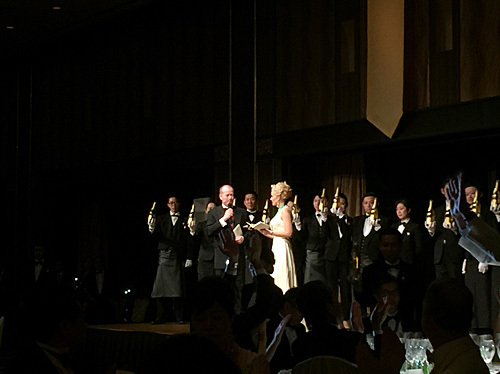 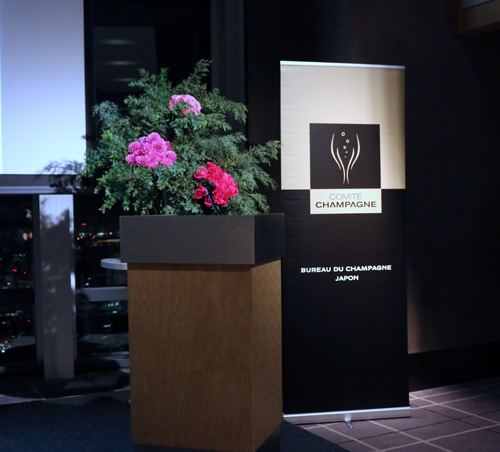 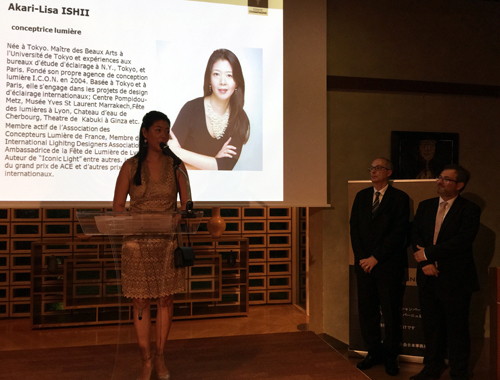 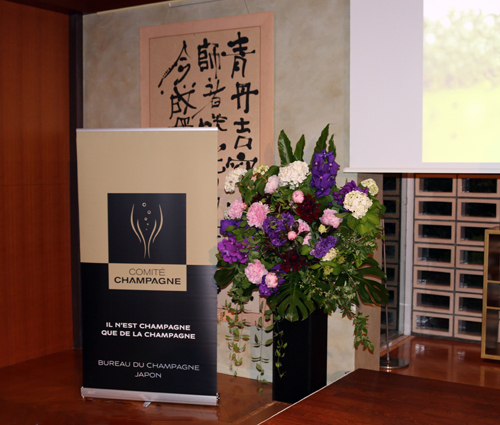 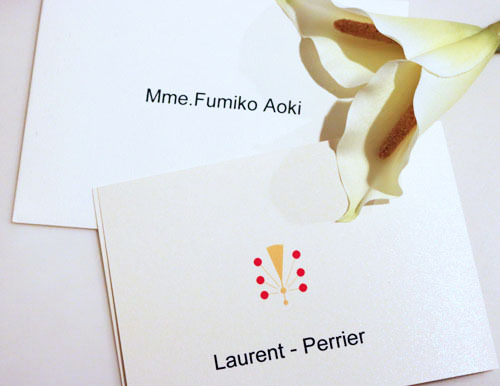 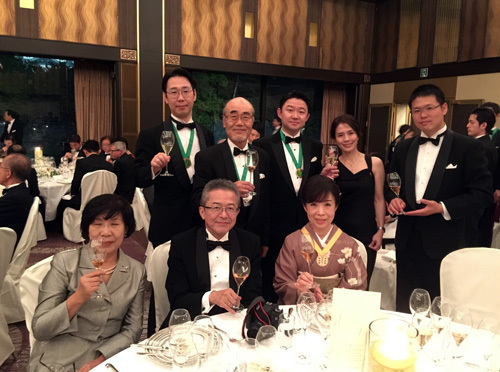 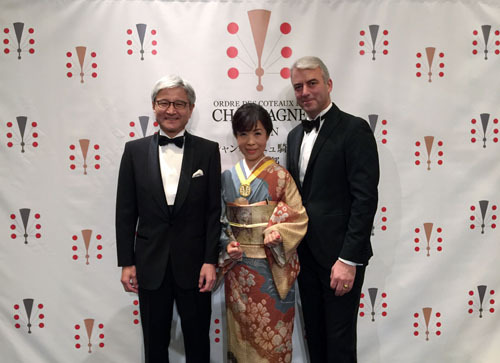 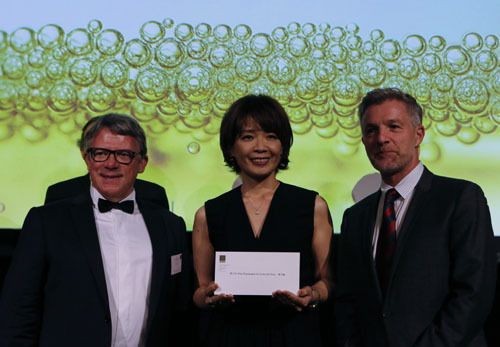 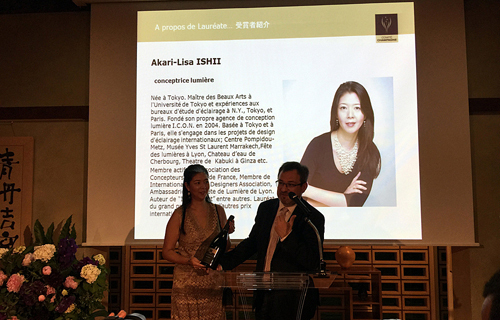 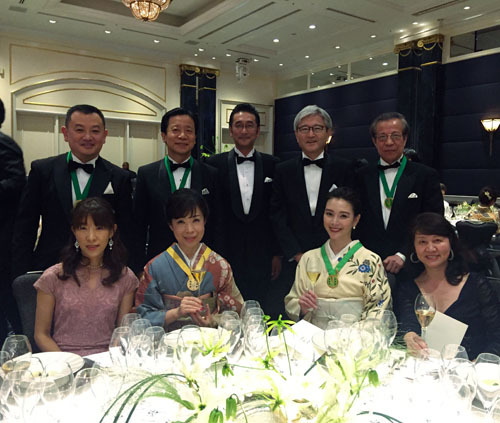 Takeshi san was awarded the Officier d'Honneur from the recommendation of Laurent-Perrier & Suntory in May 2014. 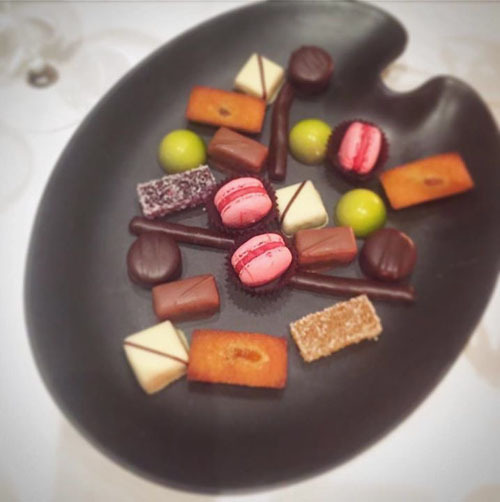 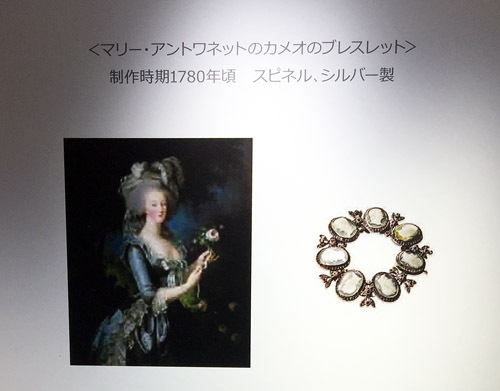 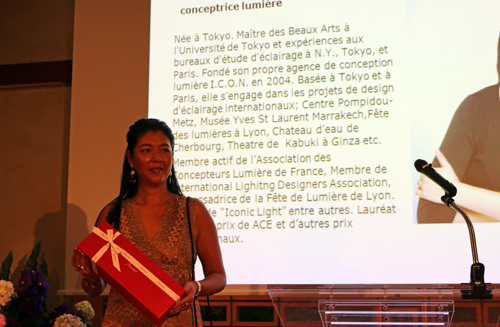 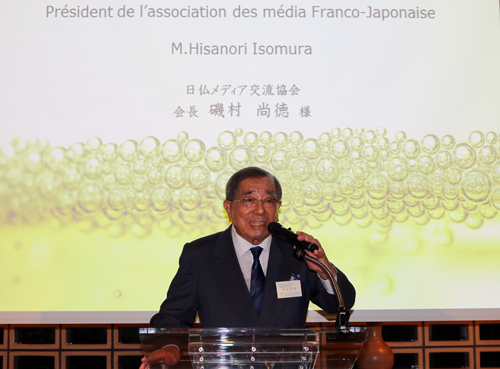 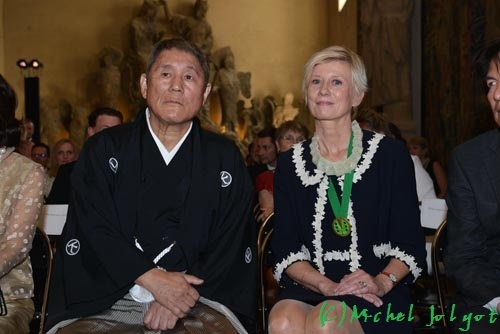 In June 2015, Takeshi san was appointed Chambellan d'Honneur in Reims. 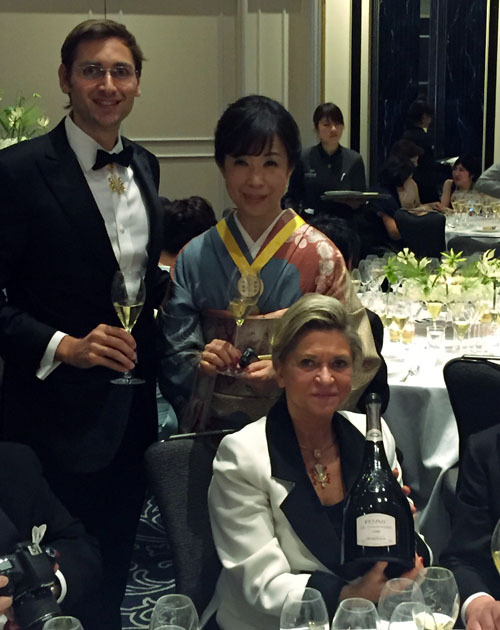 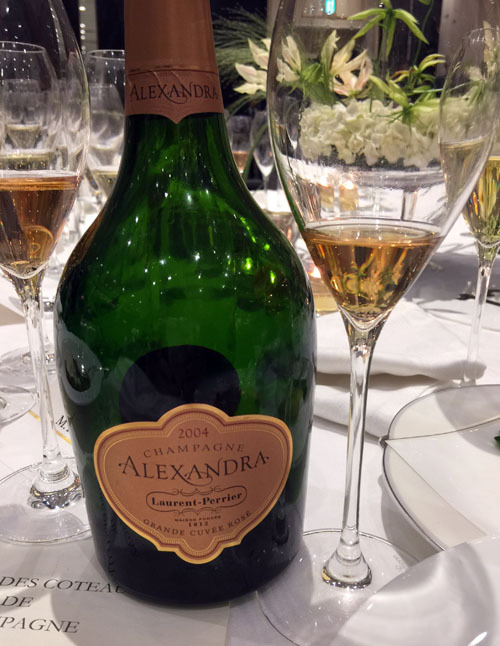 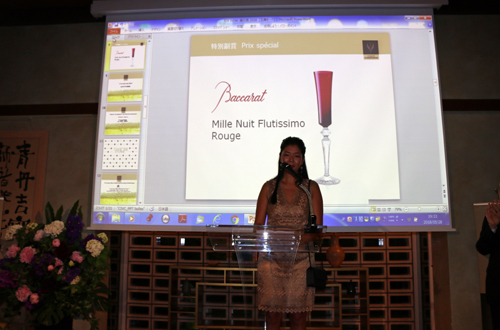 Elegant Alexandra Pereyre de Nonancourt of head of the Laurent-Perrier! 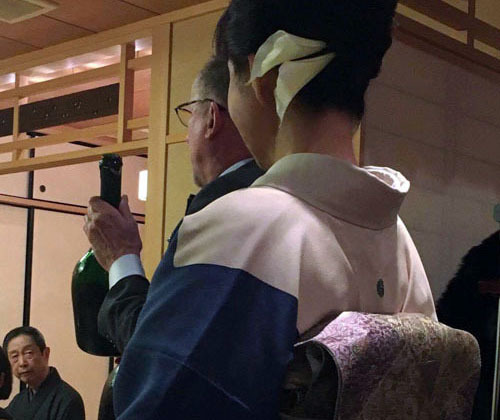 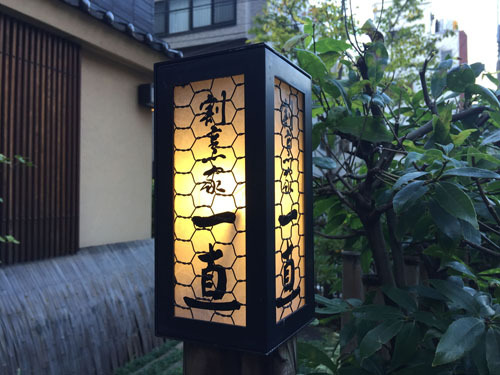 Traditional beautiful "Edo kiriko", present to participant! 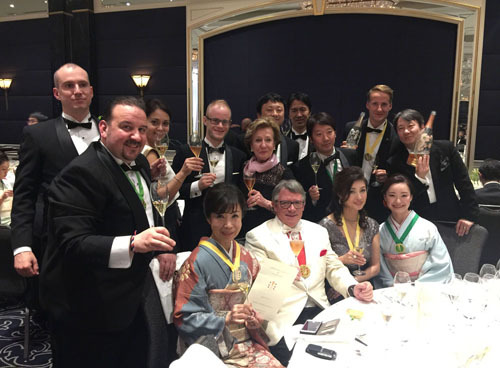 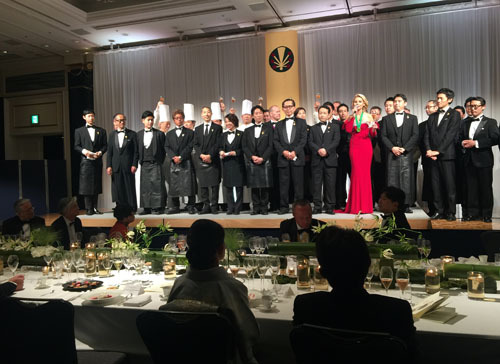 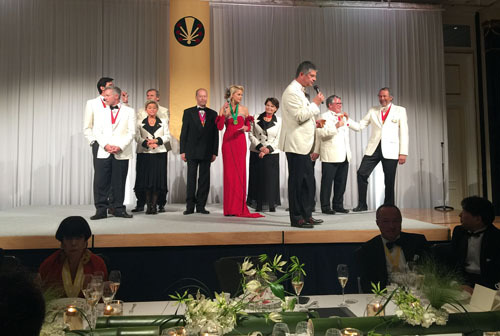 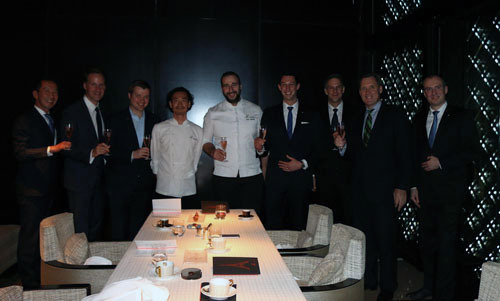 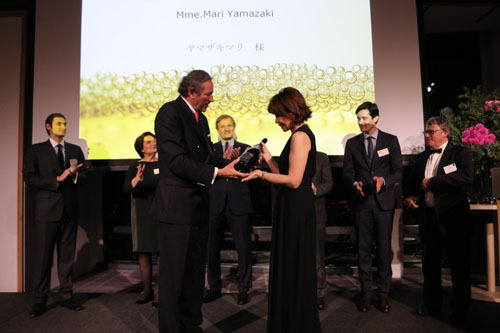 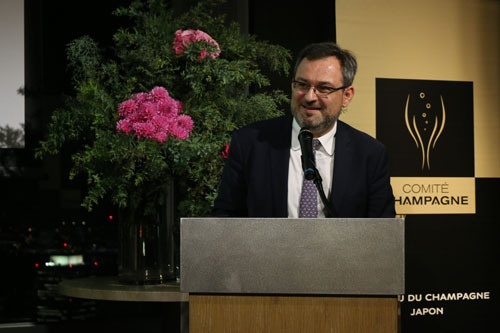 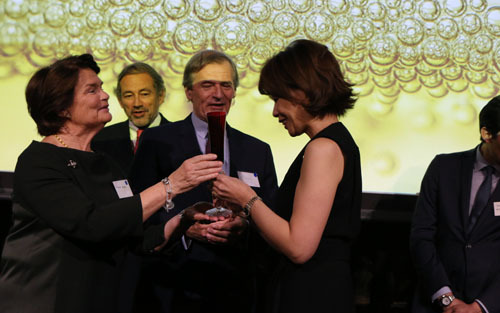 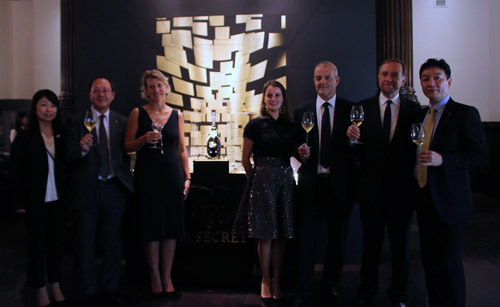 Dear Alexandra san, Jean-Christian san & Guillaume san of Laurent-Perrier, dear President Yamazaki, Niimura san & Sakamoto san of Suntory, dear the master and members of Ichinao. 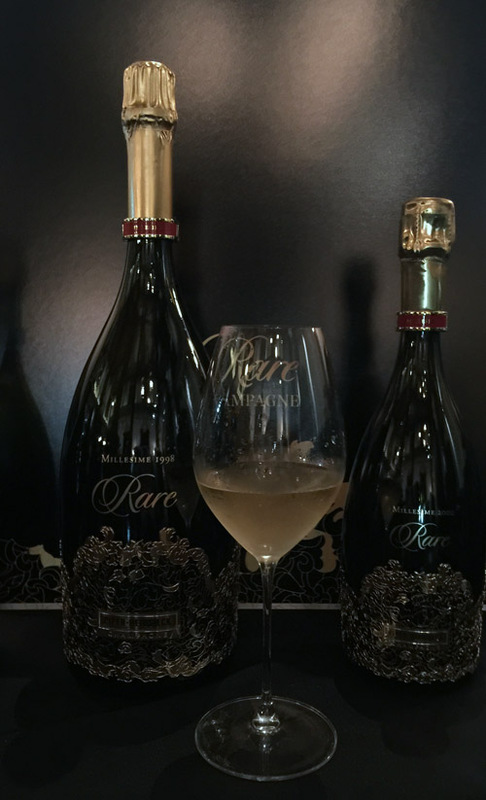 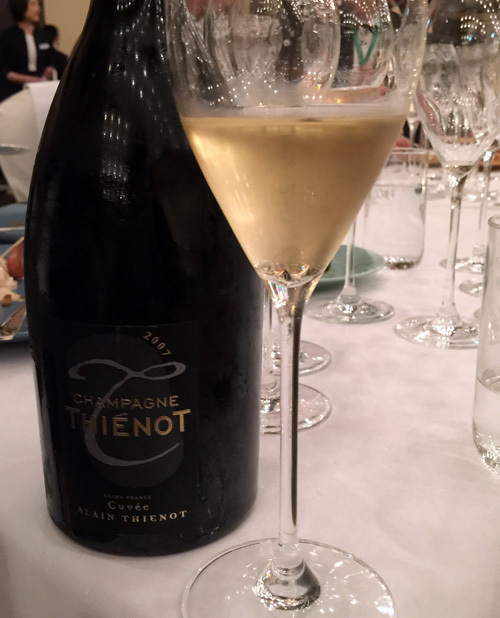 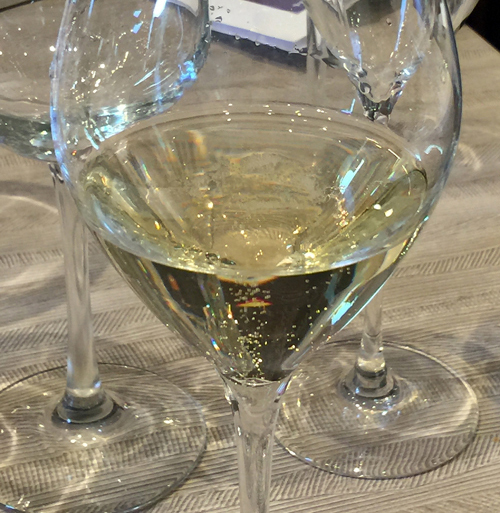 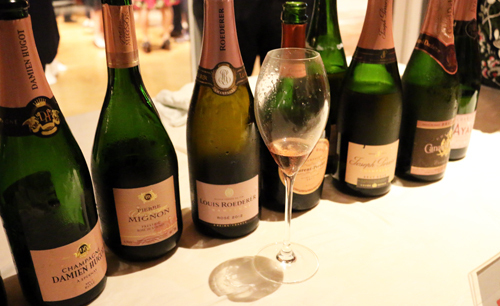 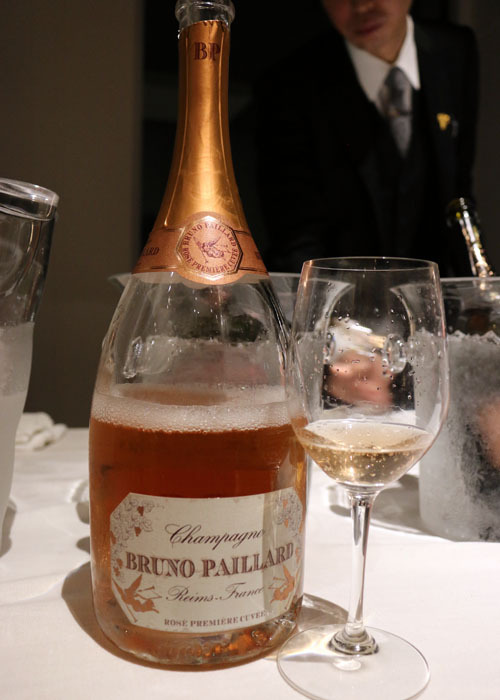 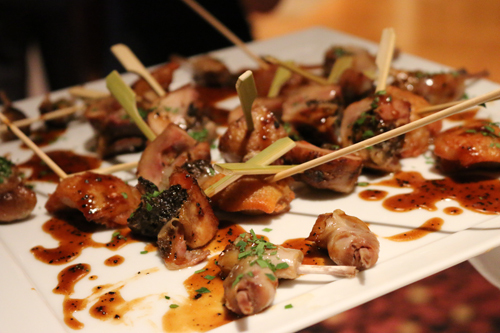 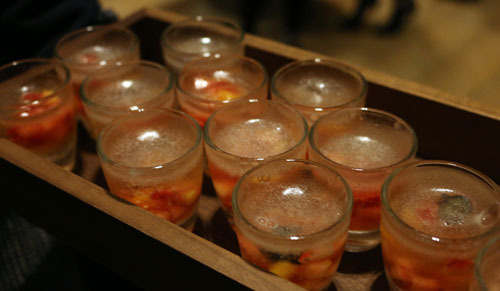 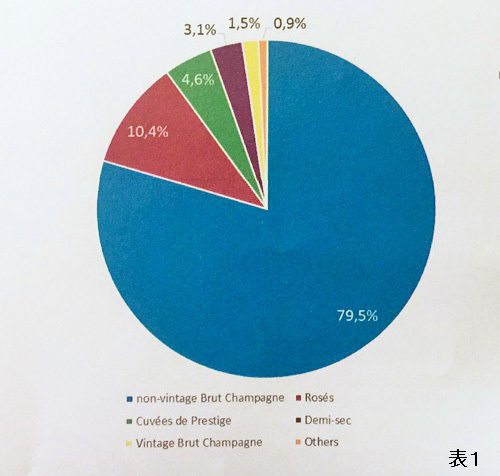 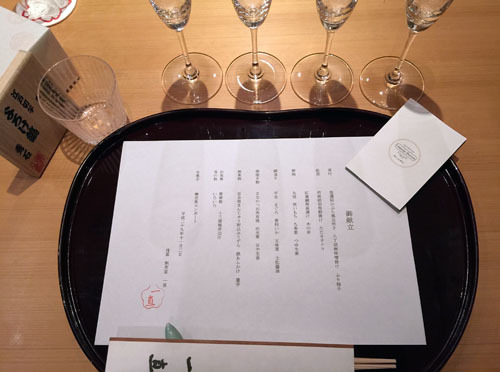 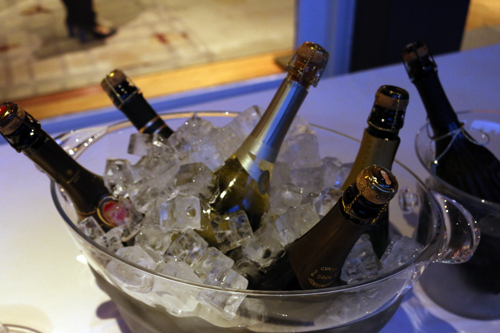 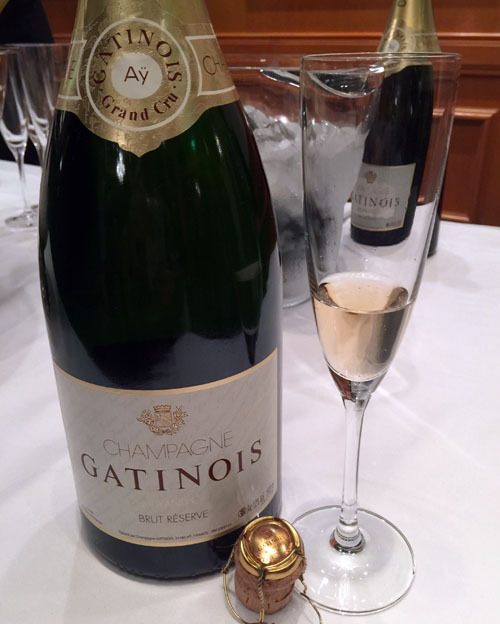 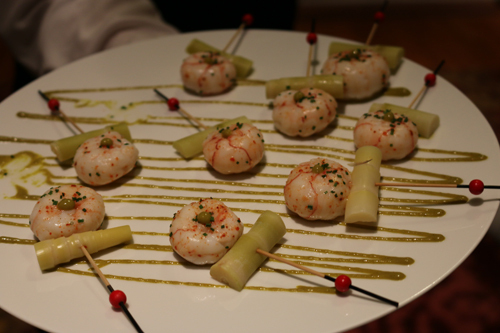 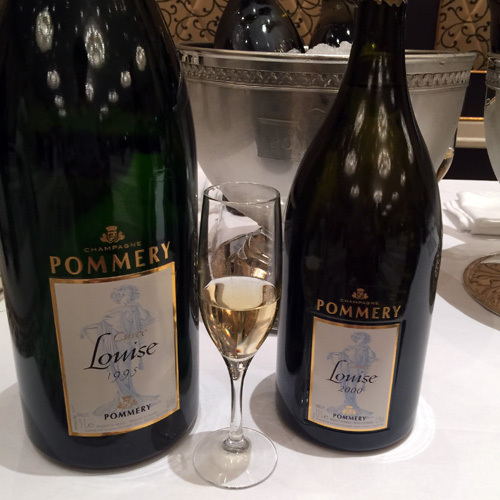 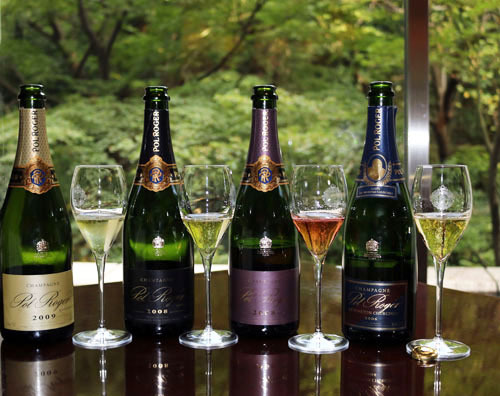 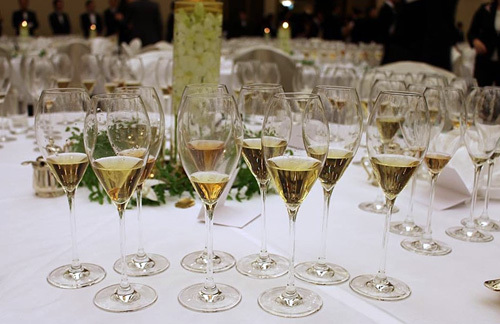 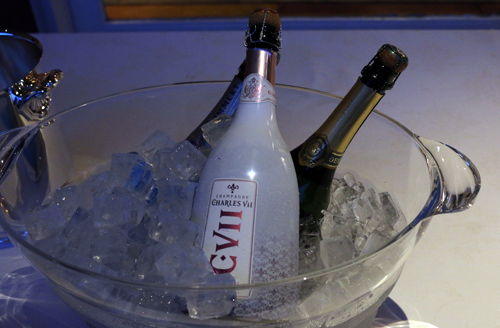 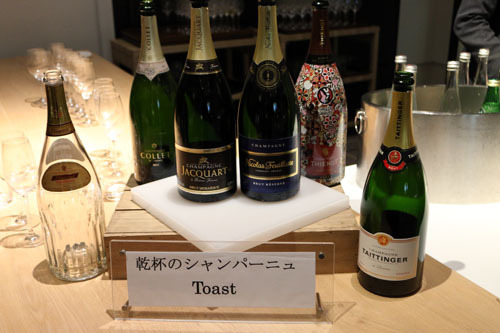 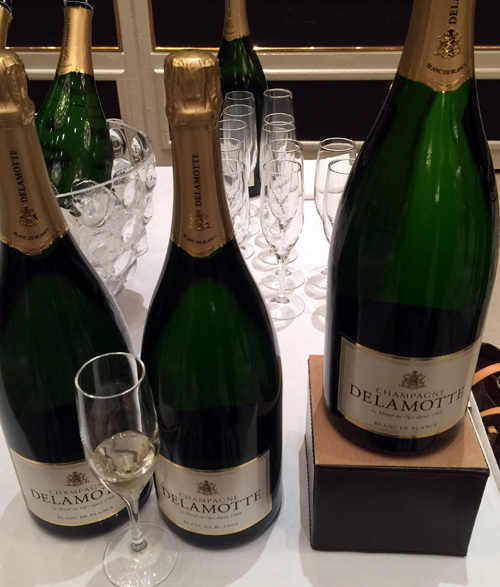 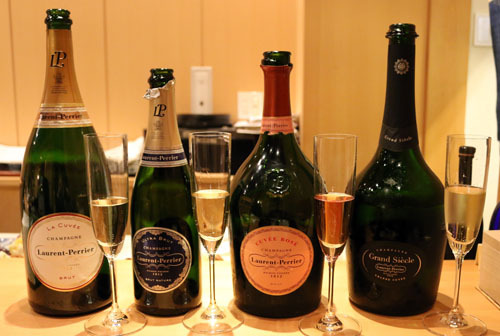 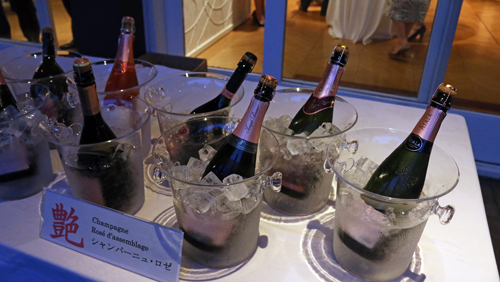 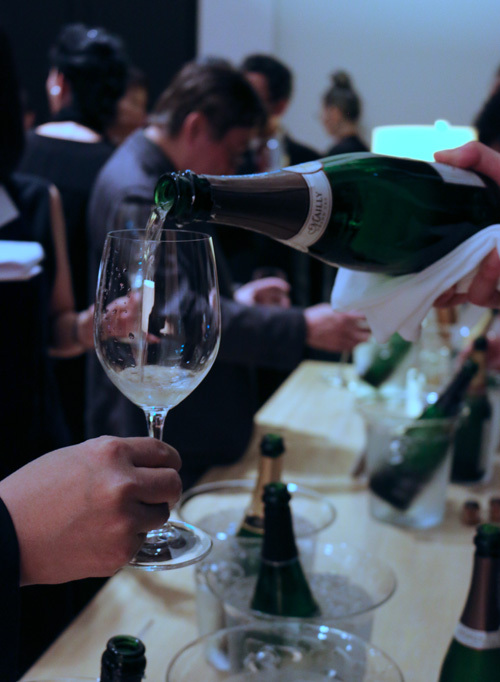 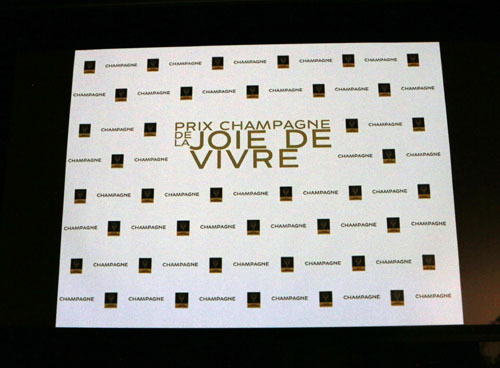 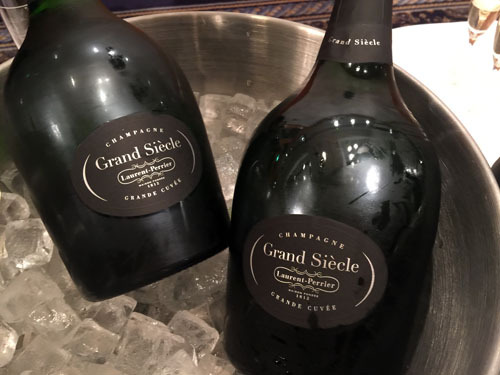 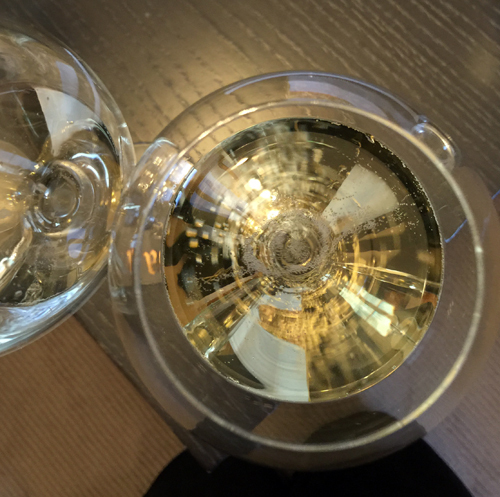 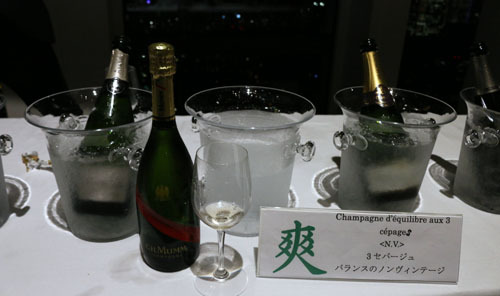 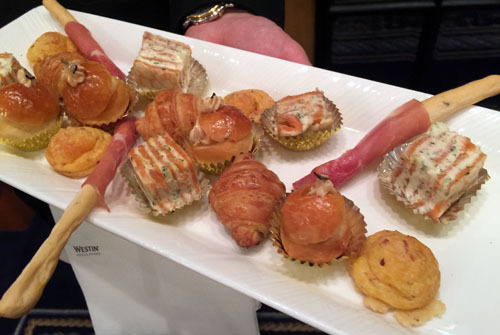 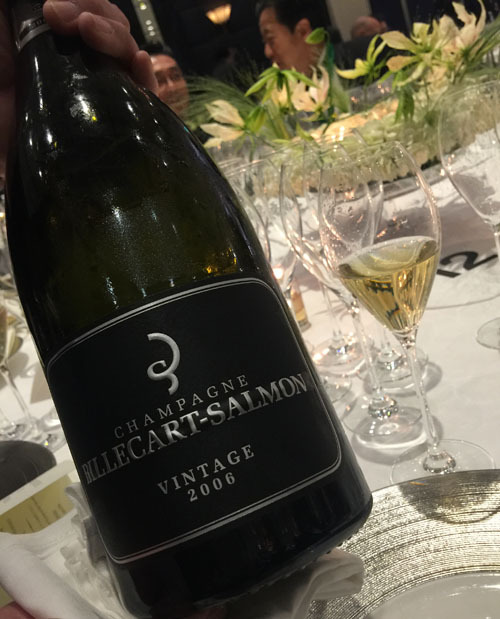 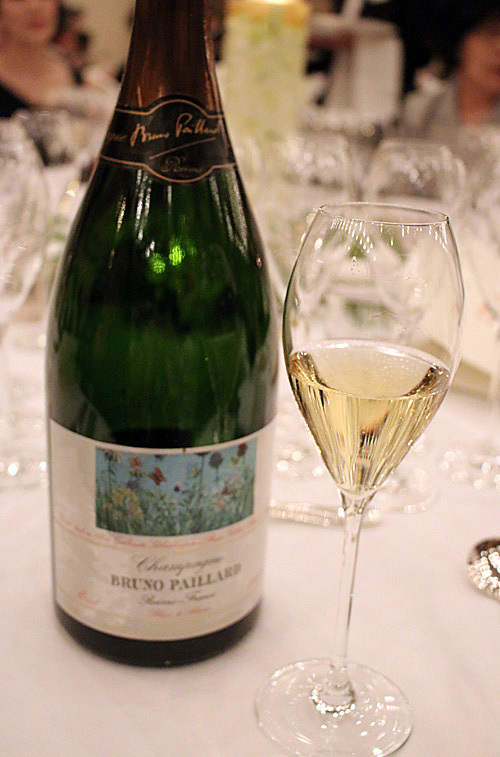 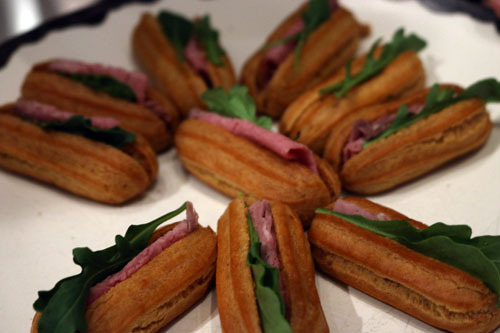 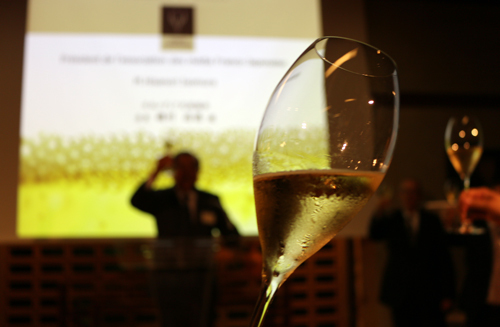 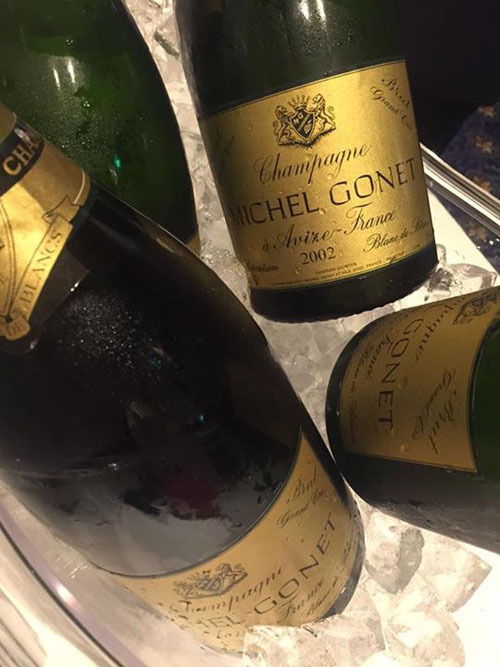 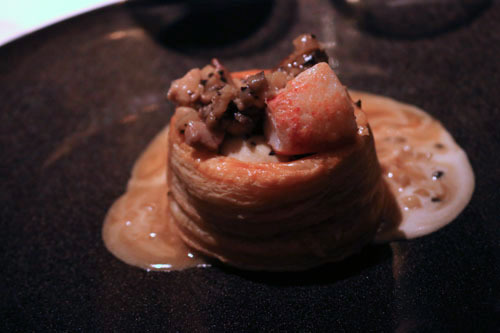 I was very happy to have had the opportunity to taste many kinds of great champagne and wonderful Edo cusines. 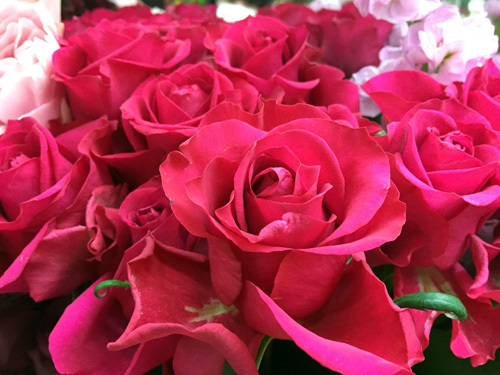 I'm grateful for the excellent support from all of you. 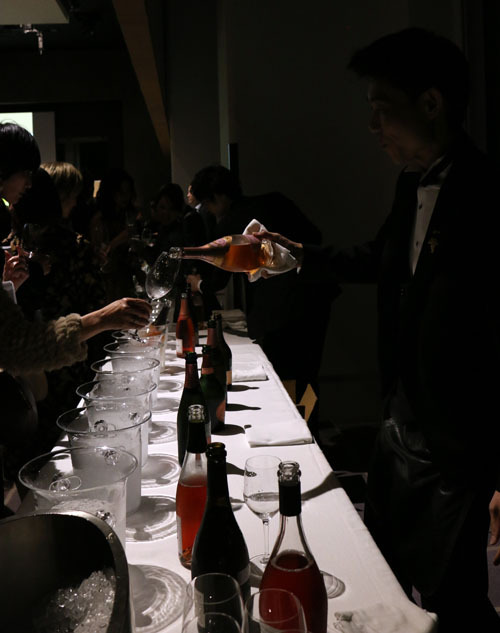 I'm sure that so long as LP & Ichinao continue striving for the ultimate taste, so long both maisons will continue to attract many people. 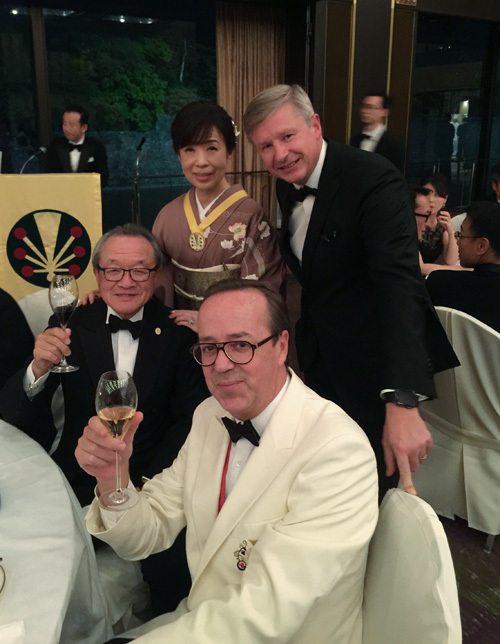 Philippe san and Kenmotsu master sommelier, I really appreciate your smart hospitality! 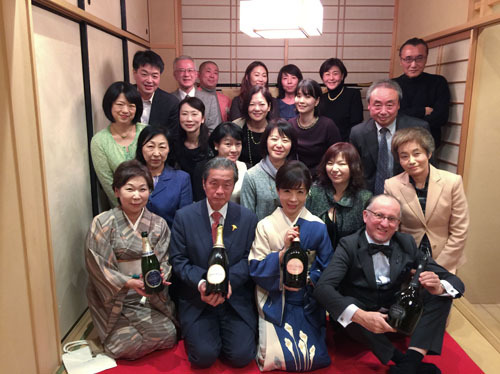 Otake san and all participants, thank you very much!! 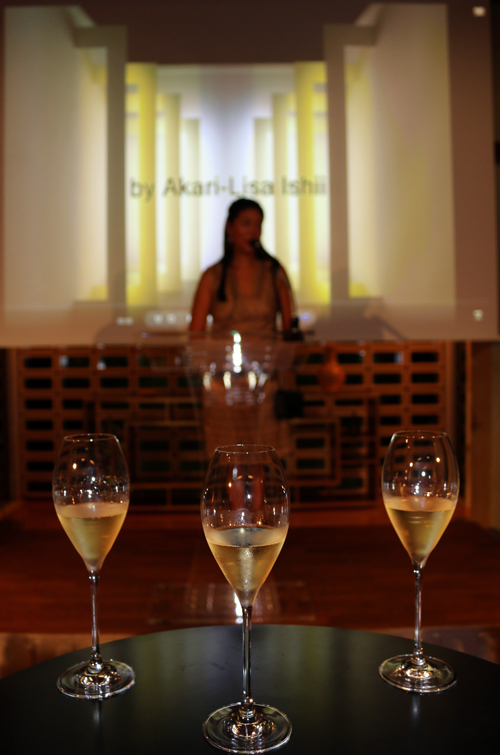 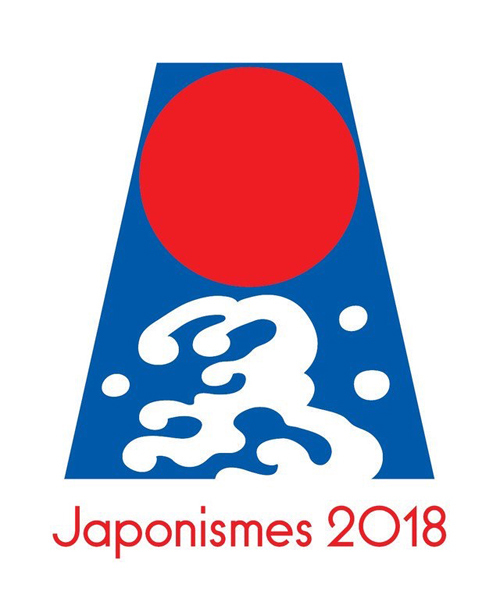 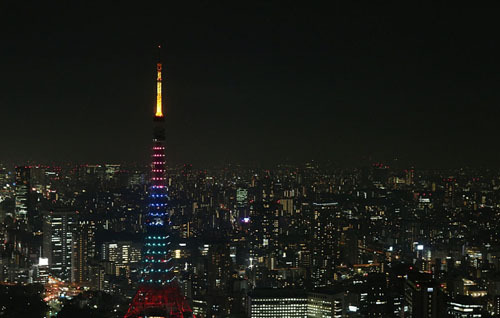 On this occasion, I hope that wine lovres of around the world will discover the charm of Asakusa and the beauty of Japan. 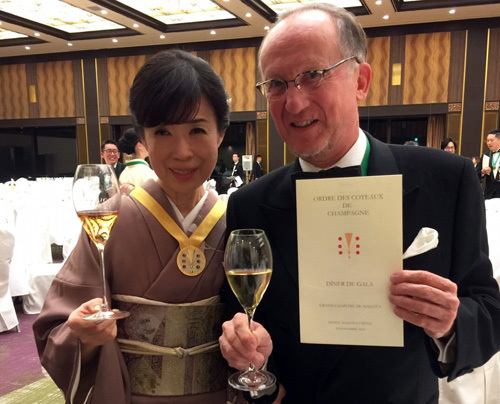 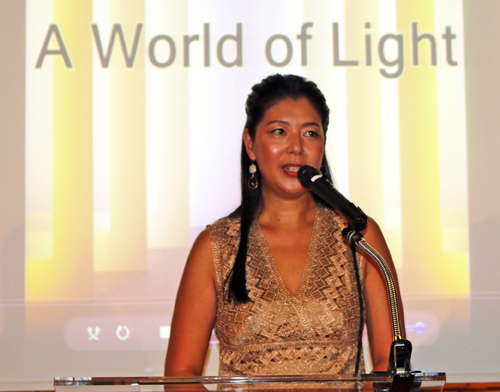 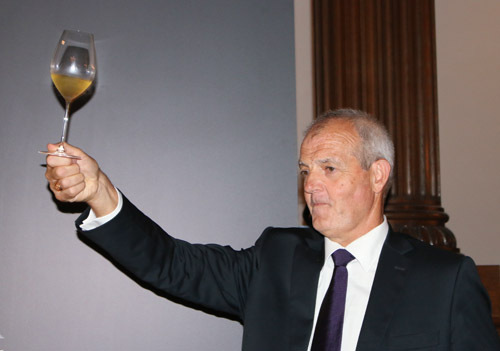 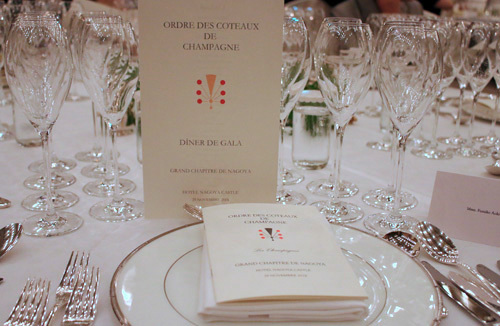 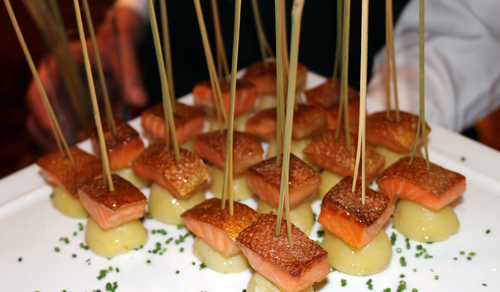 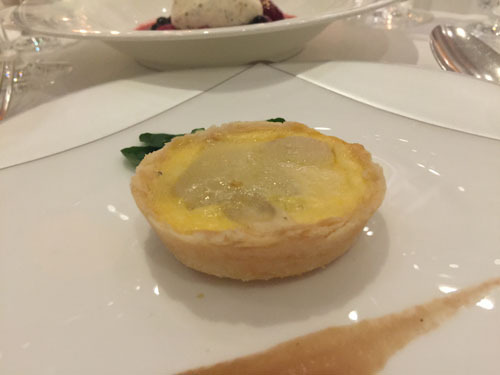 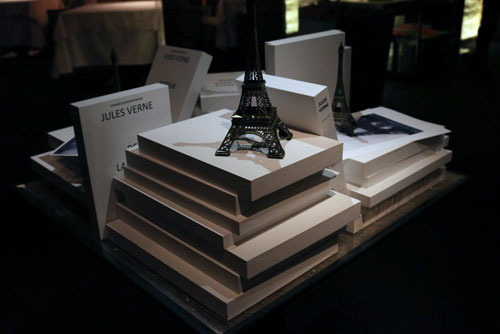 I'm looking forward to seeing you at the Gala dinner tomorrow!